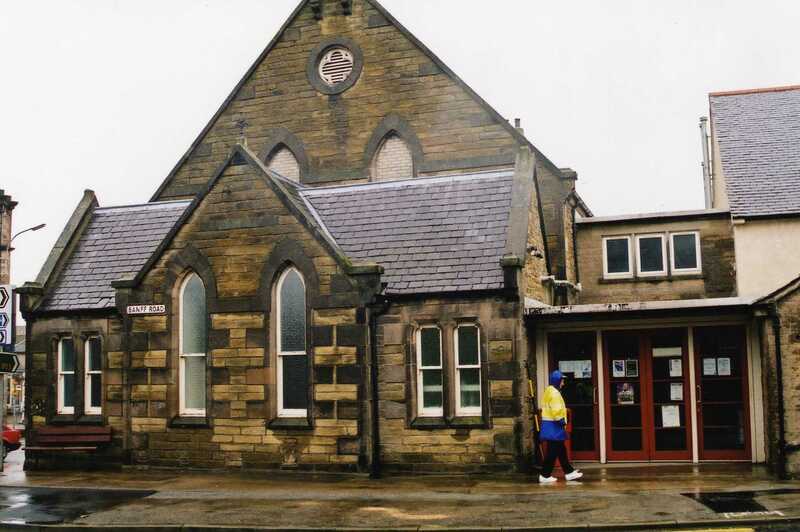 A return to Scotland - as was said, a very wet, miserable outing for me. 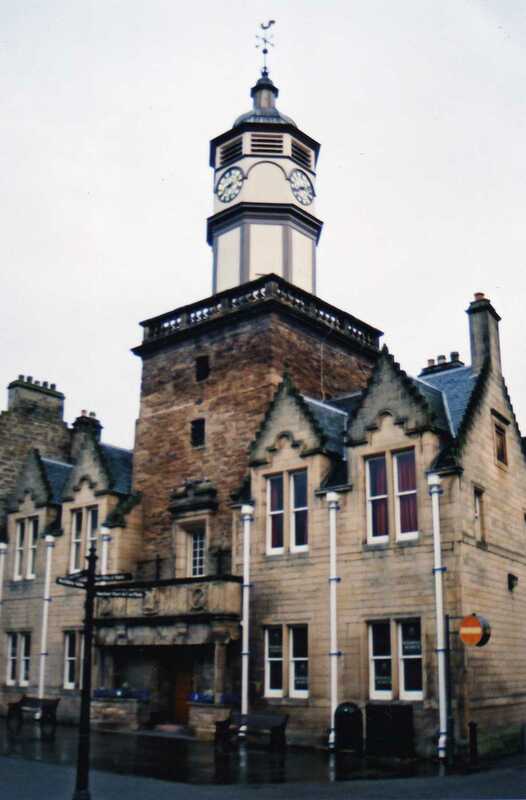 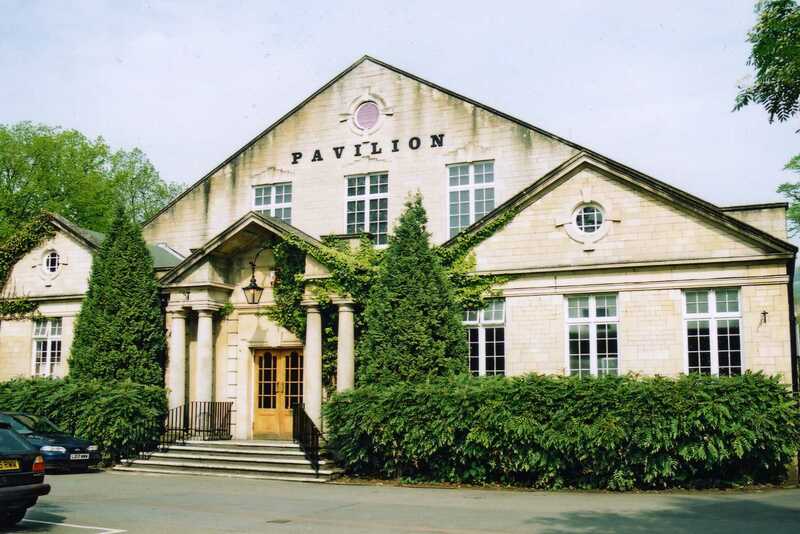 The show at Longmore Hall, Keith on 2nd Jan, was cancelled due to bad weather - sounds familiar ! 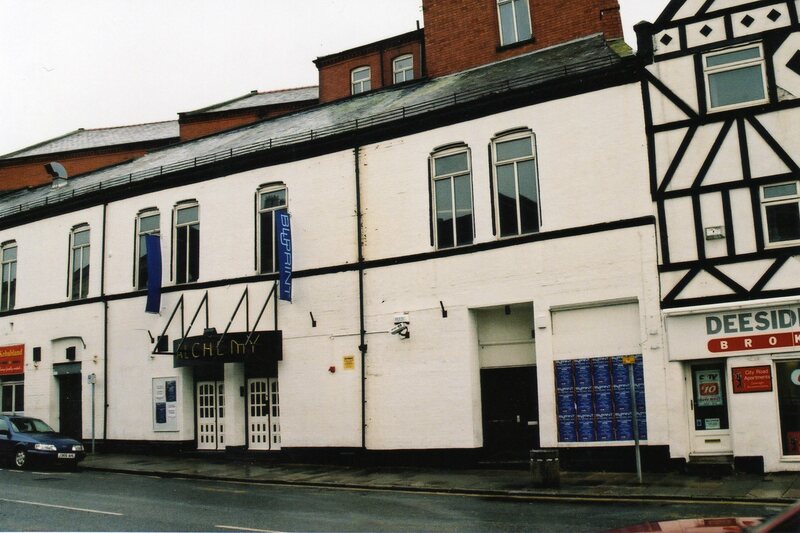 Jan 14th Ellesmere Port Civic Hall. 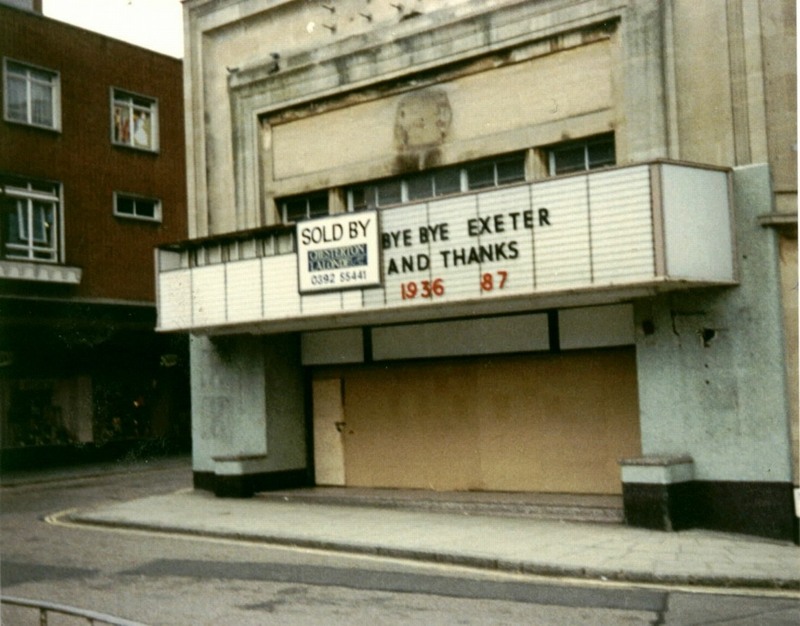 Not very interesting this one ! 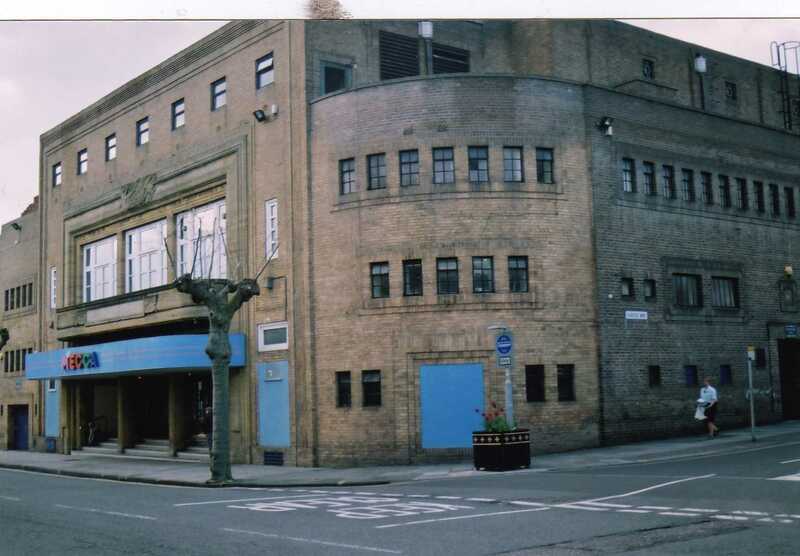 19th Jan saw them at the Town Hall Ballroom, Whitchurch - the present council building bears no resemblance to the original, but I've been there anyway !! 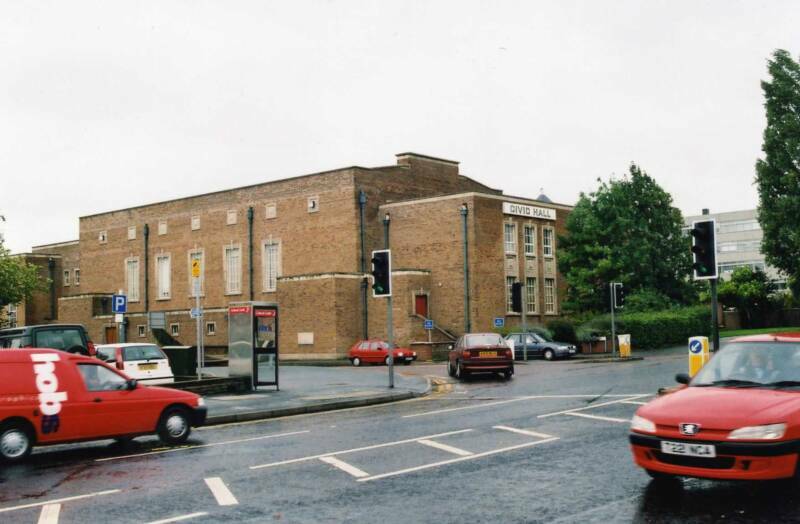 26th Jan they played the El Rio Dance Hall (right as was and now - Aldi car park ), Macclesfield, which is now long gone., and Kings Hall, Stoke on Trent, to which they returned on April 19th. 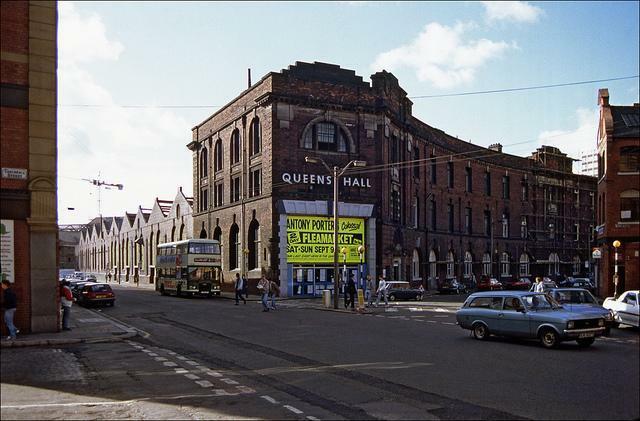 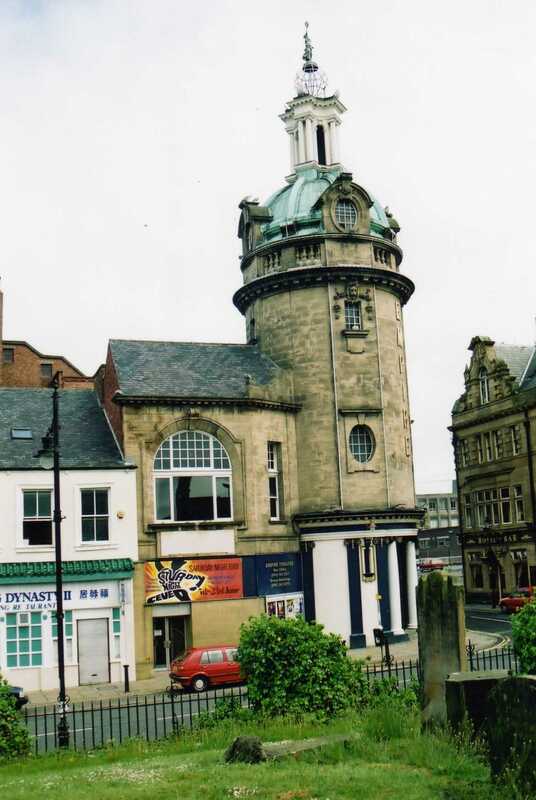 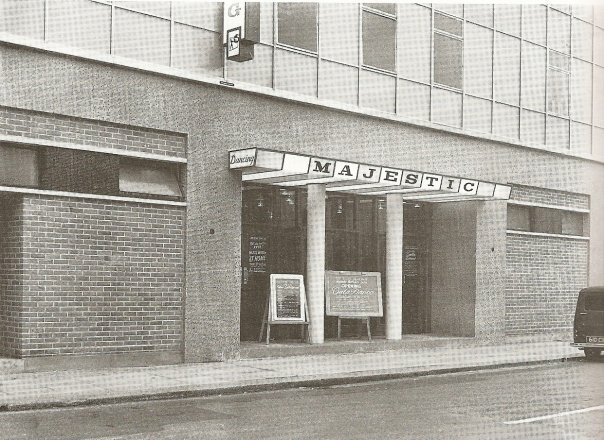 Majestic Ballroom, Newcastle -played here 28th Jan & 26th June 63. 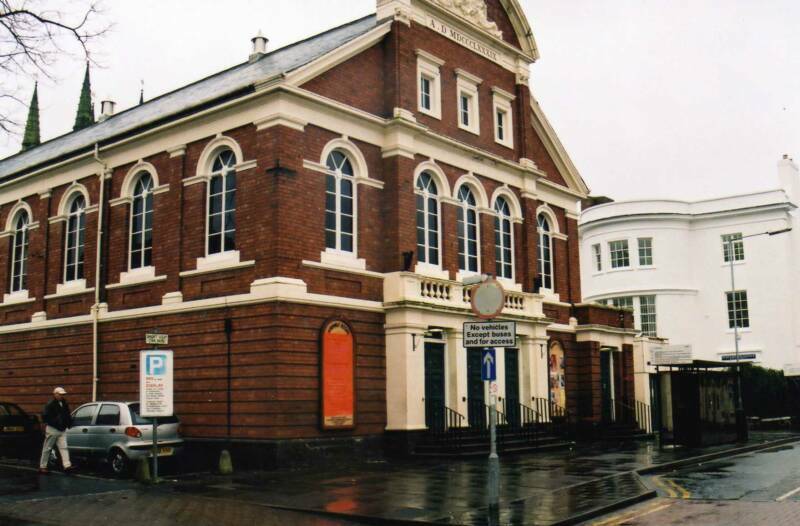 A double bill on 1st Feb, at Assembly Rooms, Tamworth and below, left, Maney Hall, Sutton Coldfield - played only once at both venues. 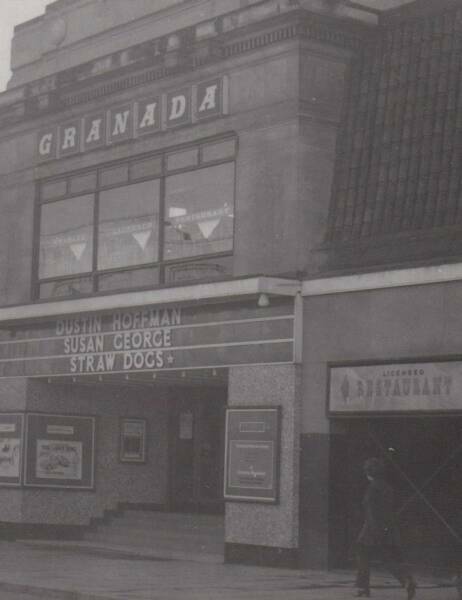 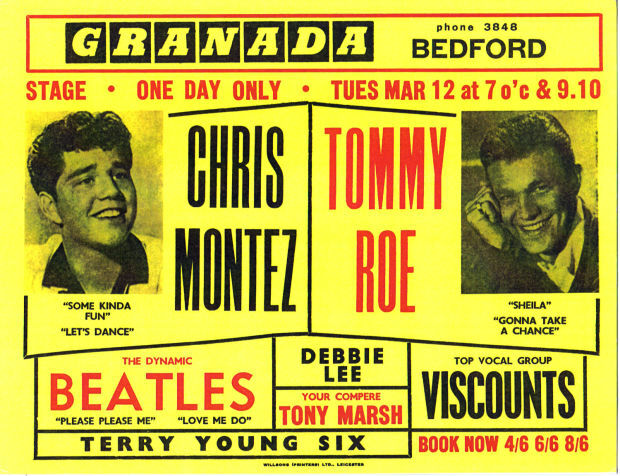 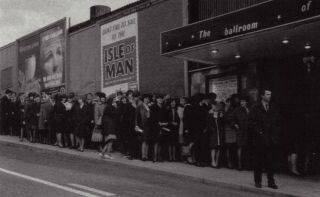 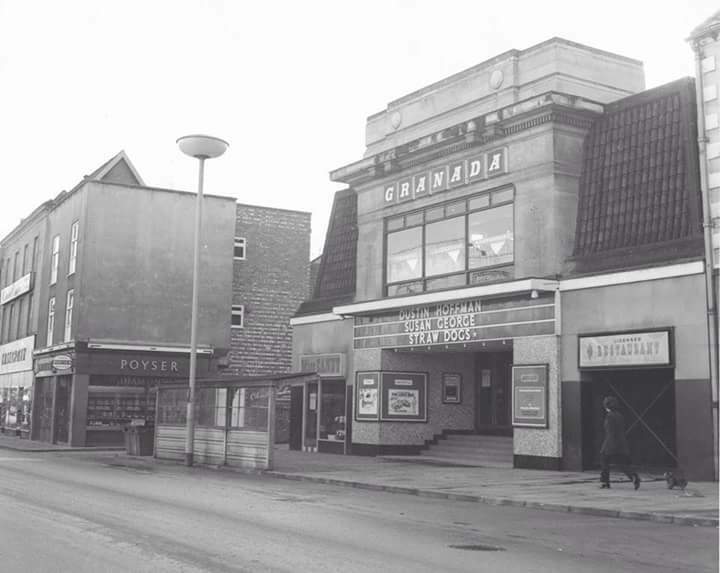 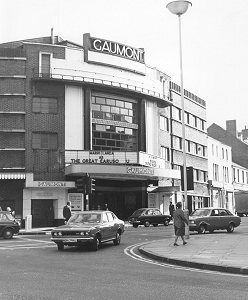 Gaumont, Bradford - 1st night of their 1st nationwide tour, headed by Helen Shapiro, 2nd of Feb. Twice more on 21st Dec &9th Oct 1964..
6th Feb saw them at the Gaumont, Bedford, which may have been demolished. 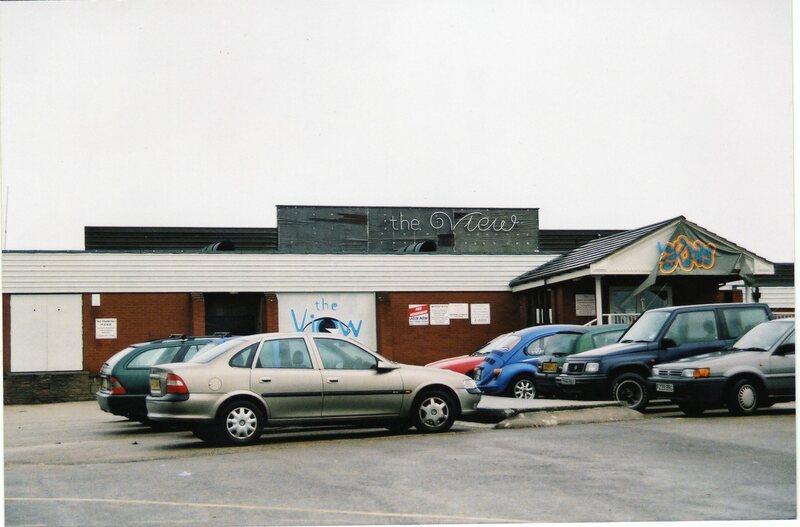 12th Feb saw them at Azena Ballroom, Sheffield an Astoria Ballroom, Oldham, playing both venues just once. 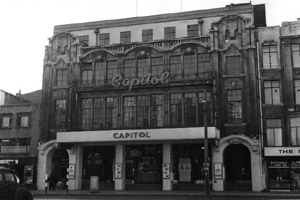 Originally called the Liverpool Olympia, they played here 14th Feb, although they did play here as the Quarrymen in the late 50's. 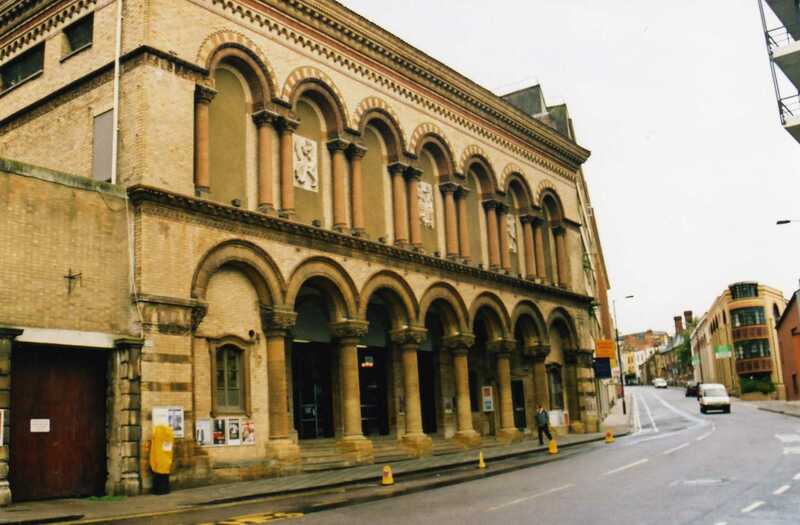 Carfax Assembly Rooms, Oxford, 16th Feb, they played here just once. 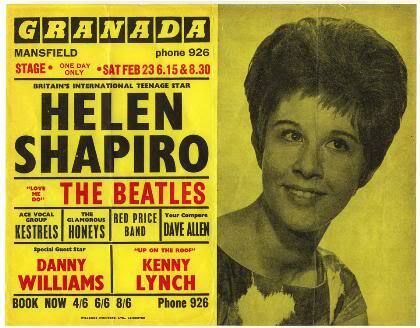 The 2nd leg of the Shapiro tour, starting at the Granada, Taunton on 26th Feb. Shapiro was ill & Danny Williams stood in at top of the bill. 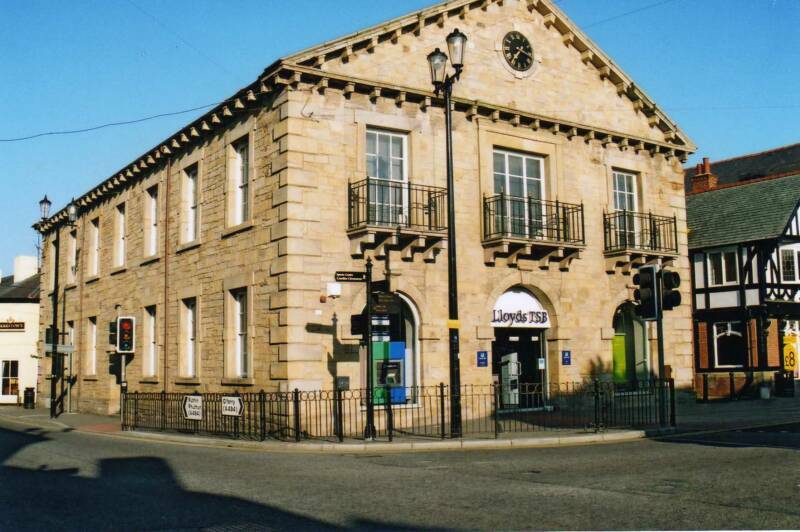 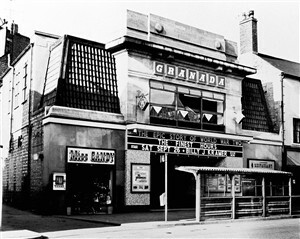 Shapiro resumed the tour here at the Granada, Shrewsbury on 28th Feb. 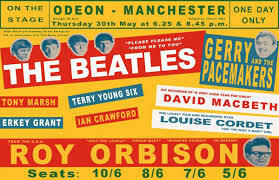 Meanwhile, on the way from York, John & Paul had written From Me To You ! 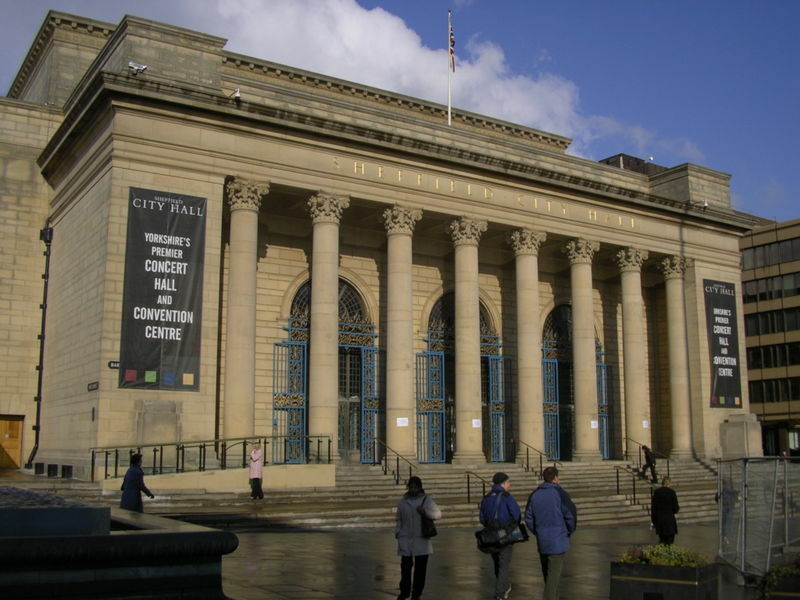 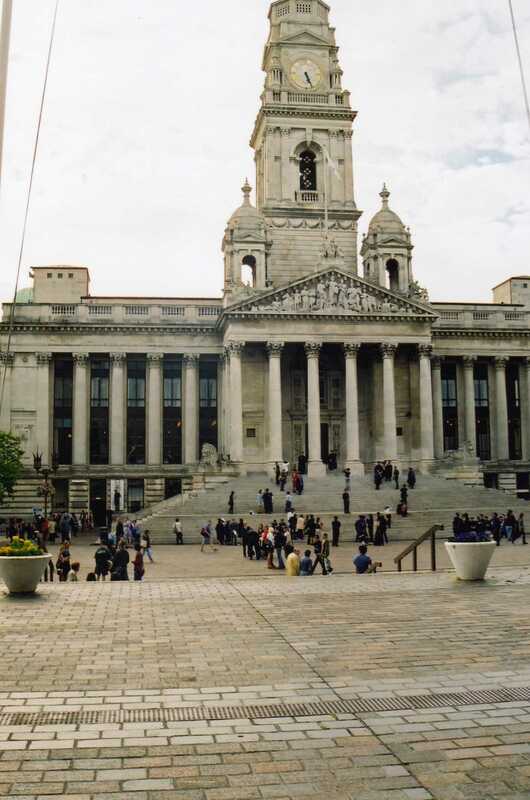 2nd March, Sheffield City Hall. 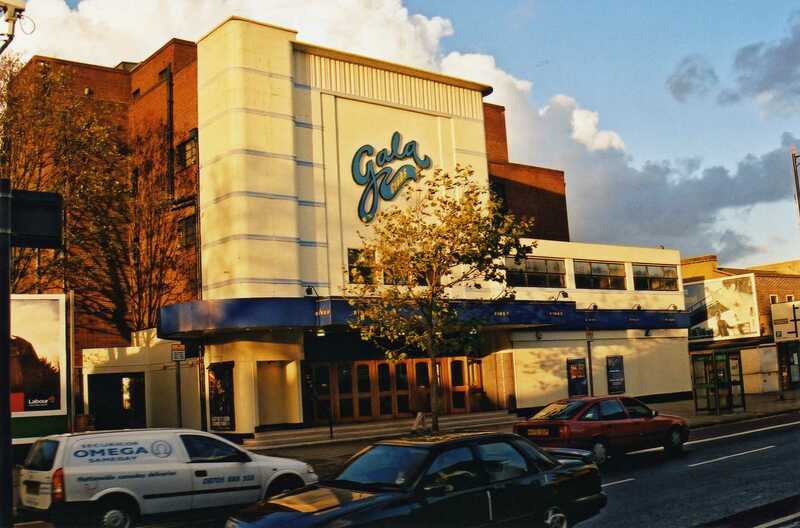 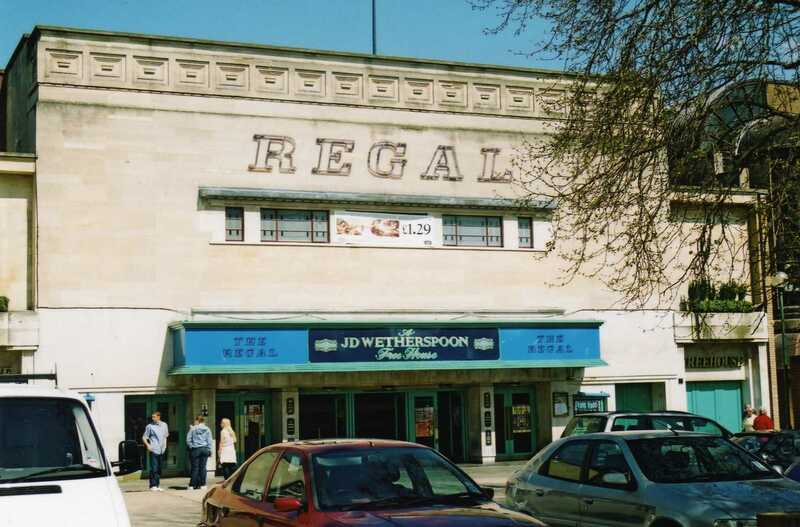 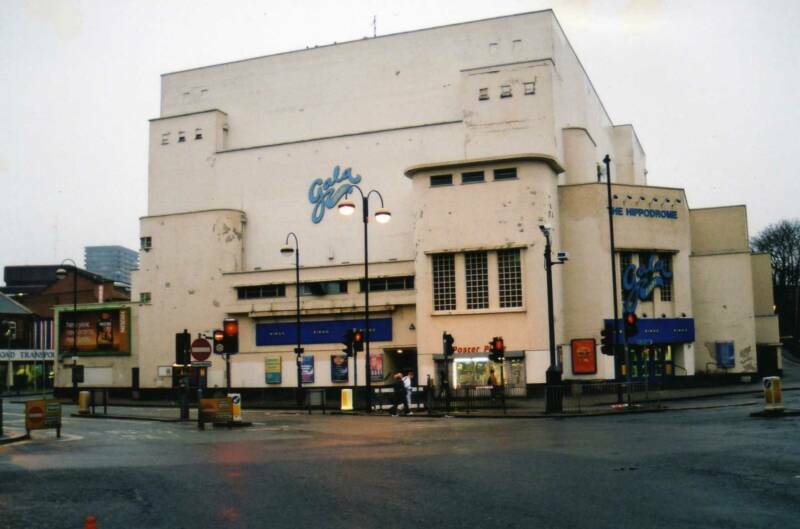 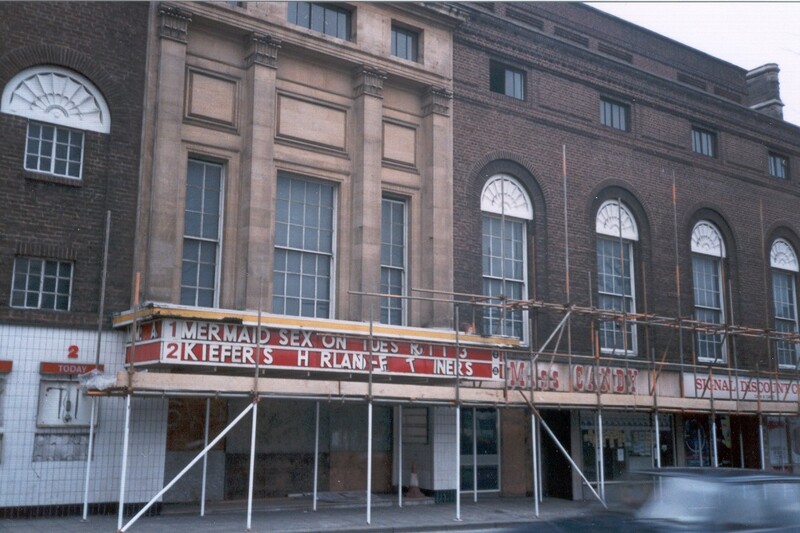 3rd March, the final night of the Shapiro tour at Gaumont Cinema, Hanley -it's now the Regent Theatre. 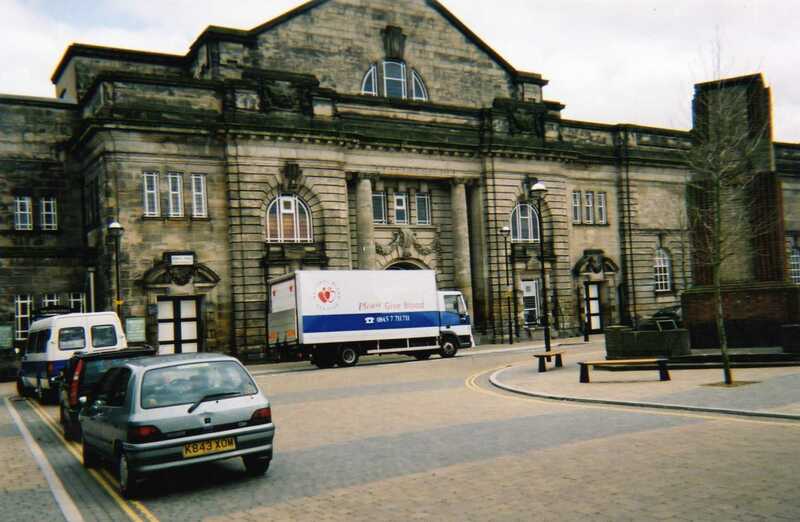 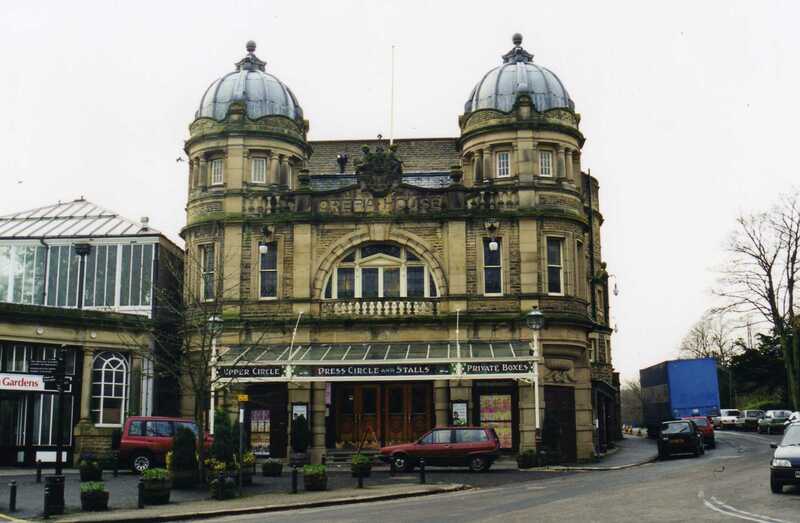 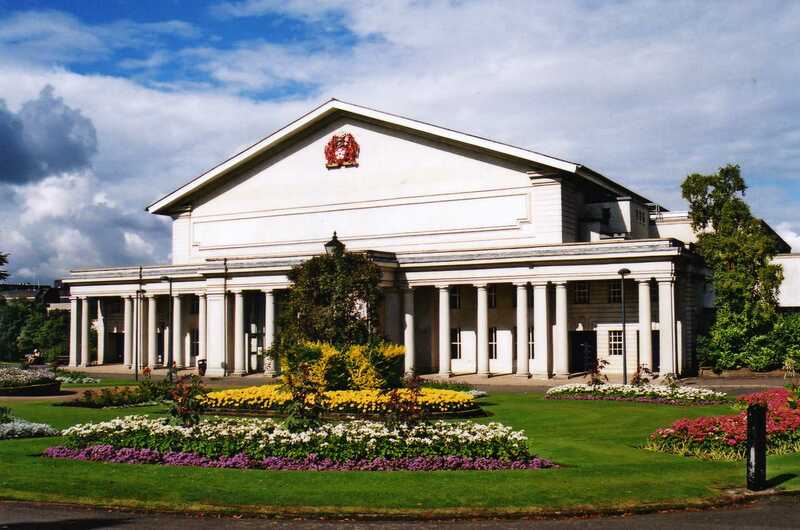 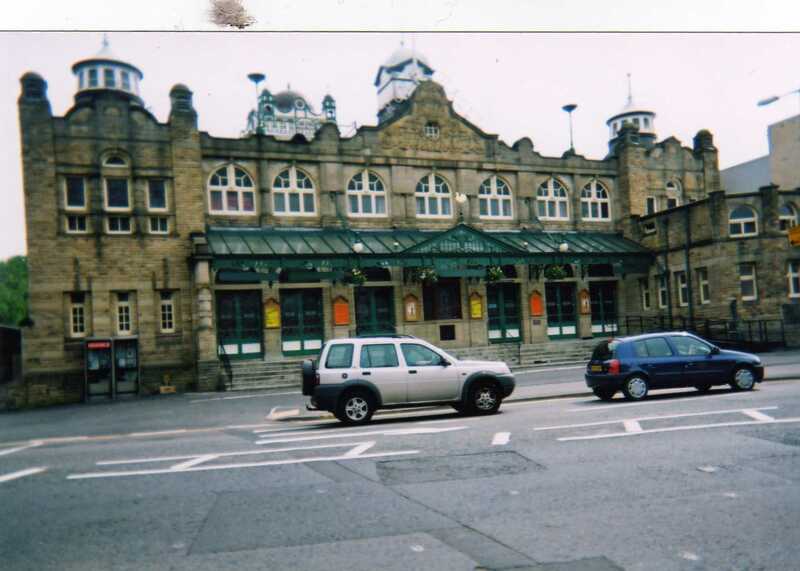 One gig here at the Royal Hall, Harrogate on 9th March. 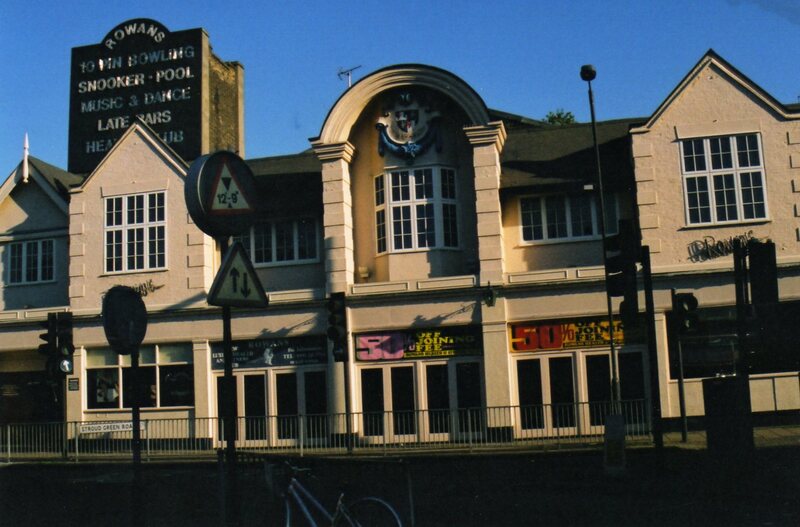 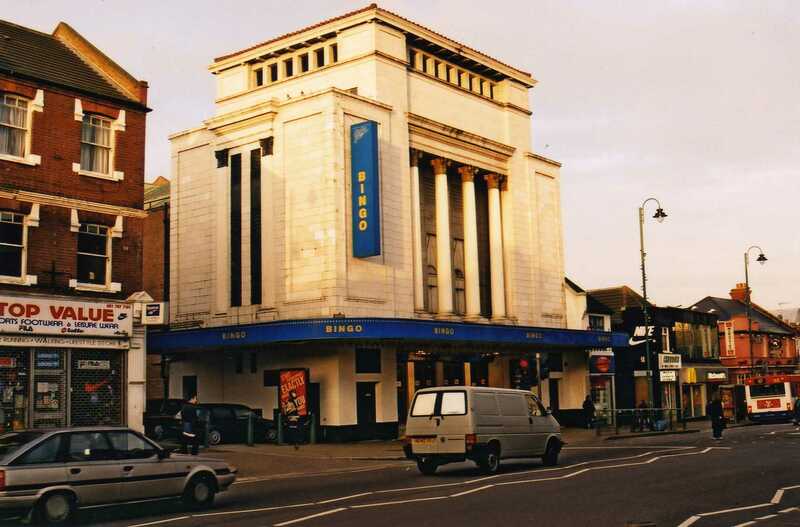 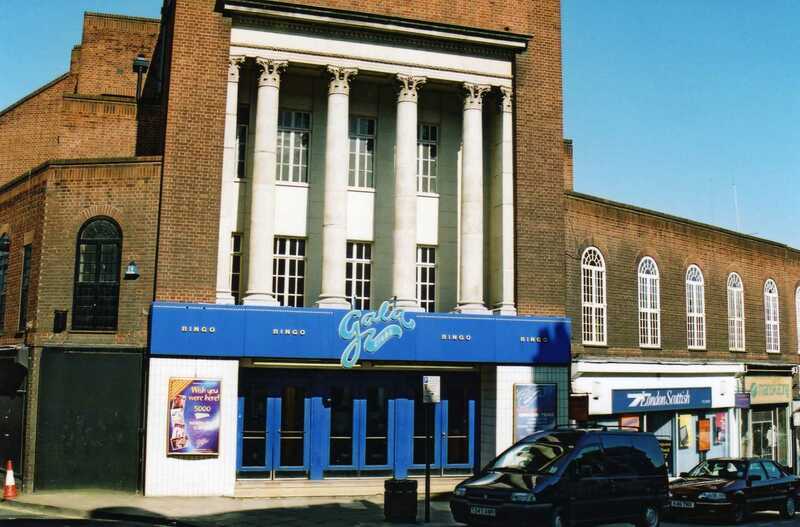 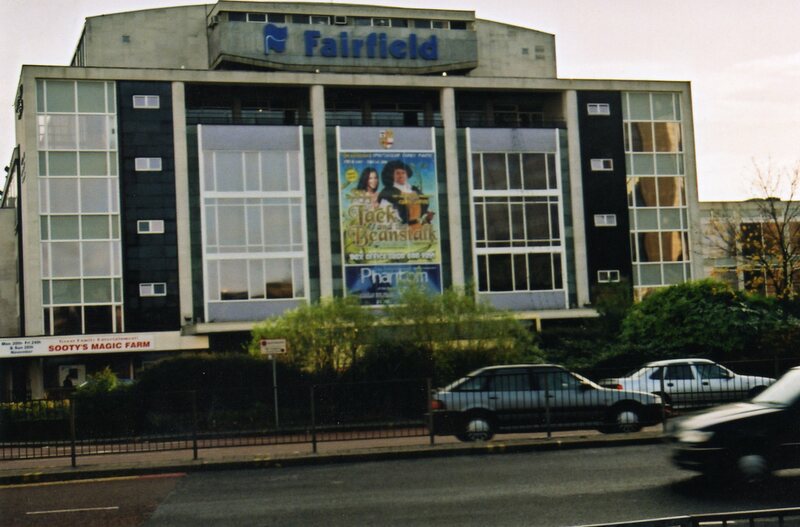 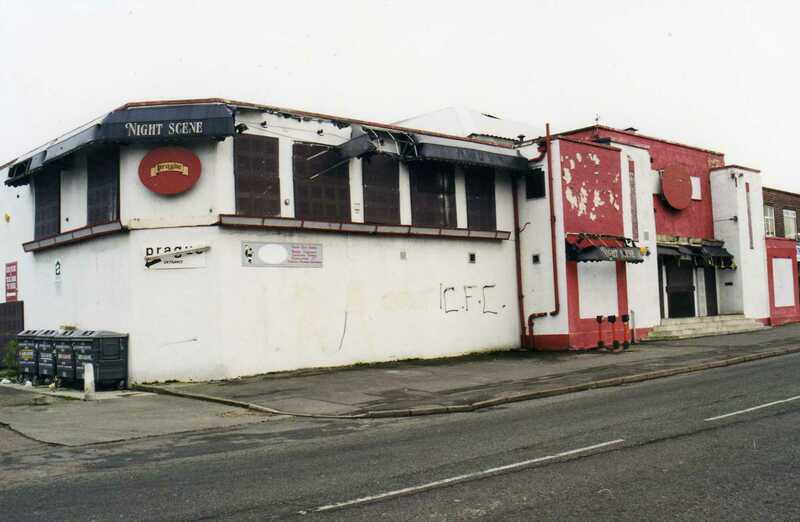 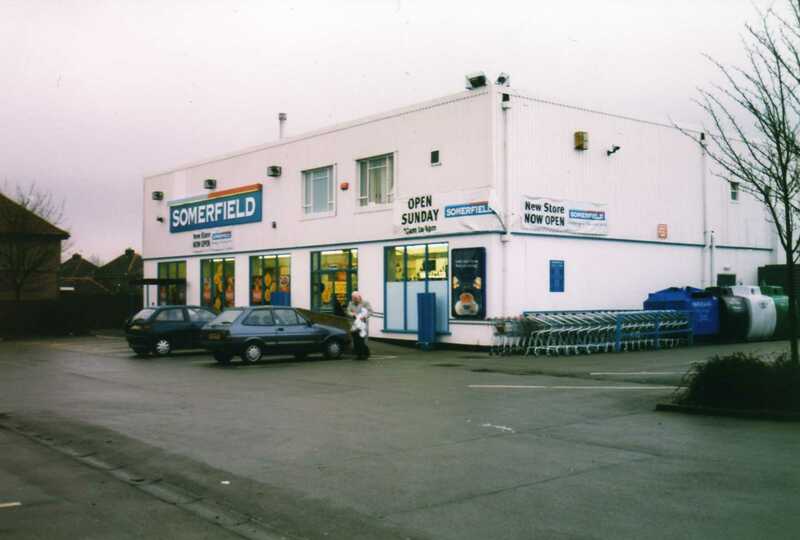 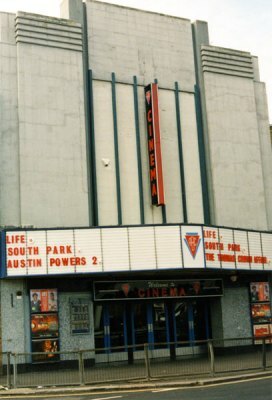 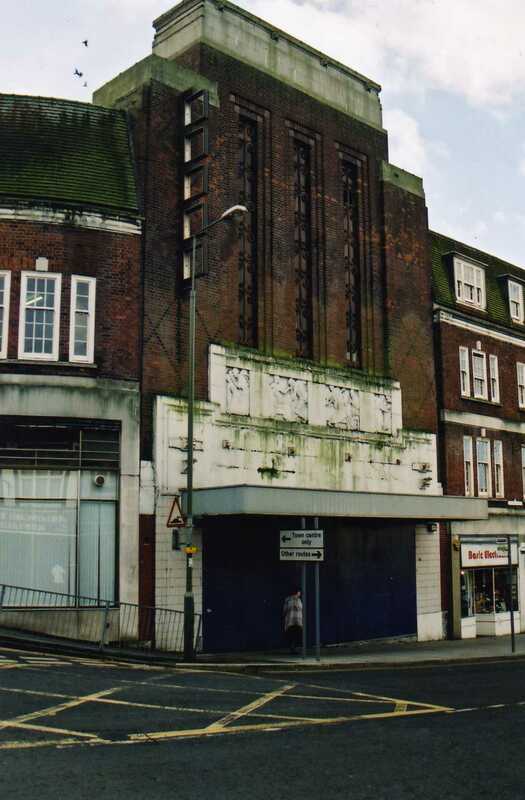 20th March ABC, Romford, now demolished for flats. 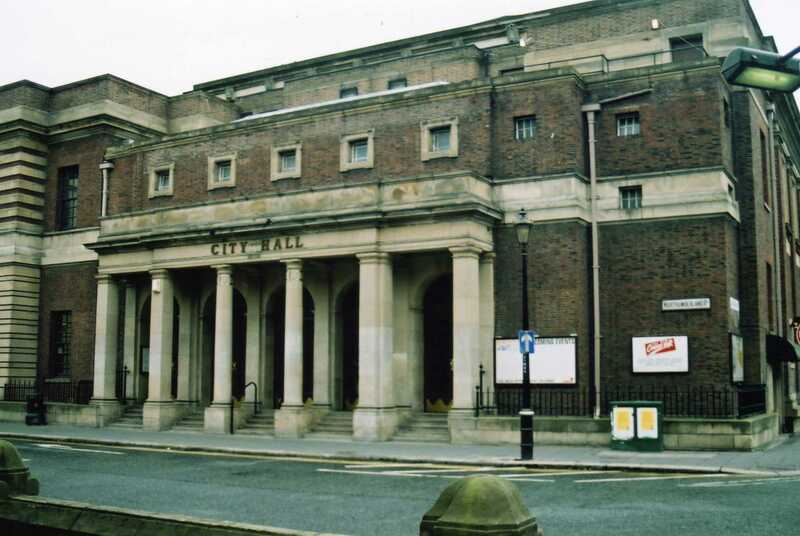 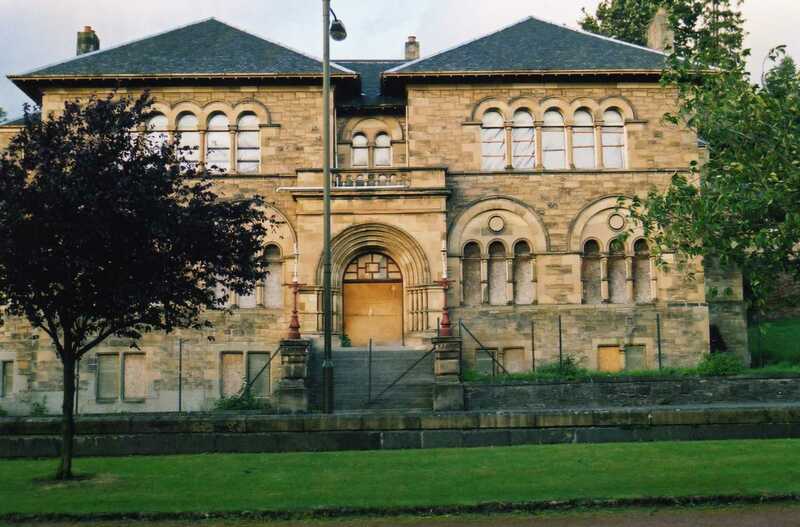 23rd March City Hall, Newcastle upon Tyne., they played 4 times here, right up until 4th Dec 1965. 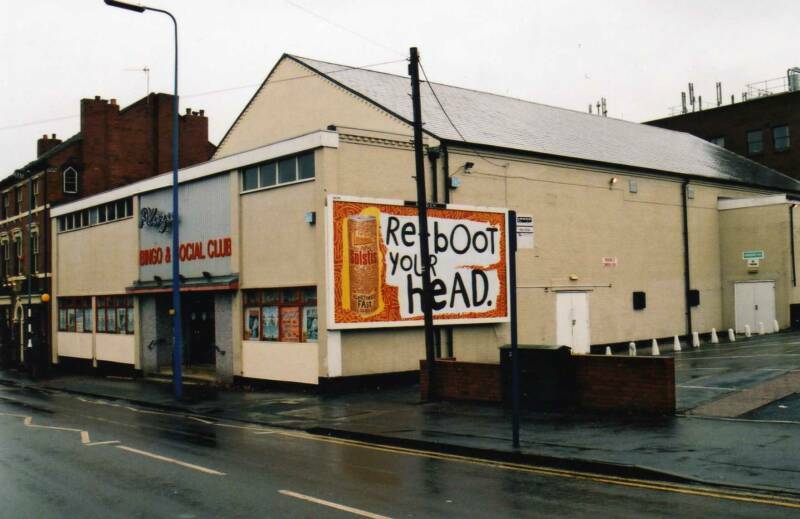 31st March. 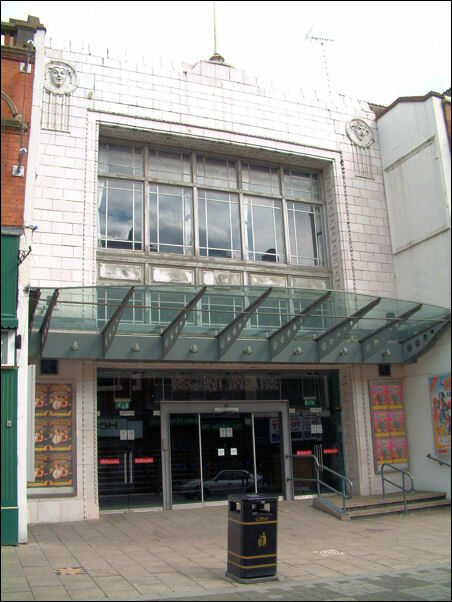 The final night of the Roe/Montez tour - I've played here ! 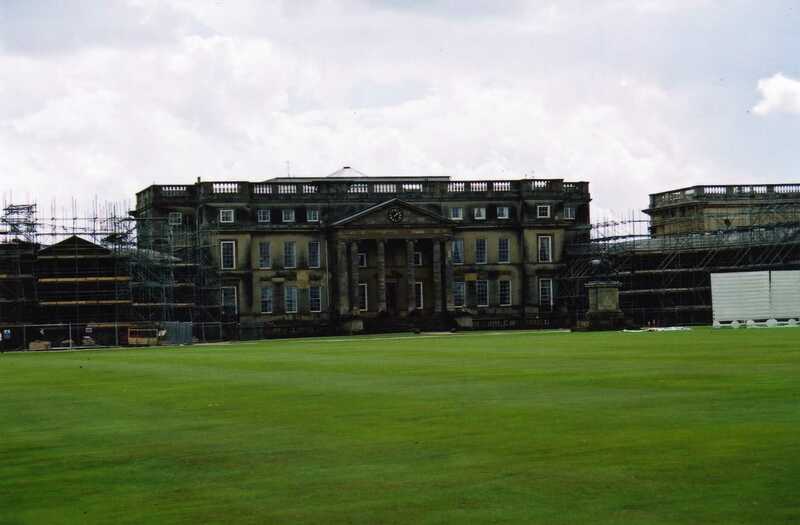 4th April, they appeared at Roxburg Hall, Stowe School. 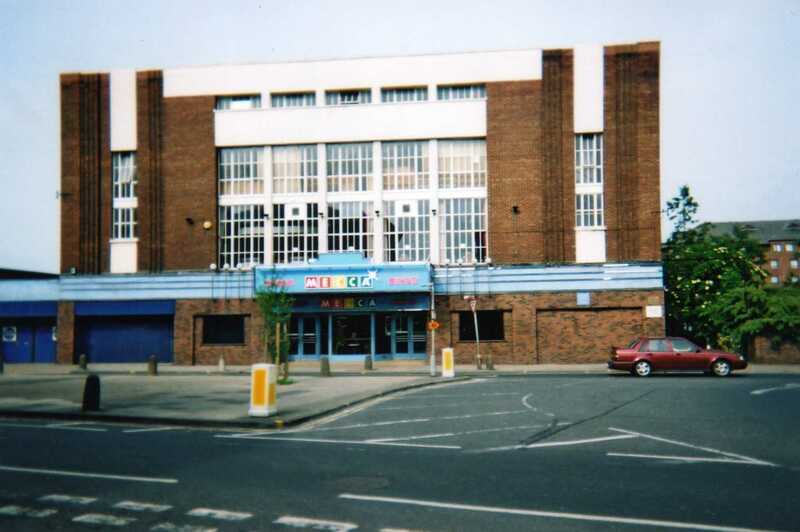 5th April saw them at Leyton Swimming Baths, which is now demolished and is Tesco's. 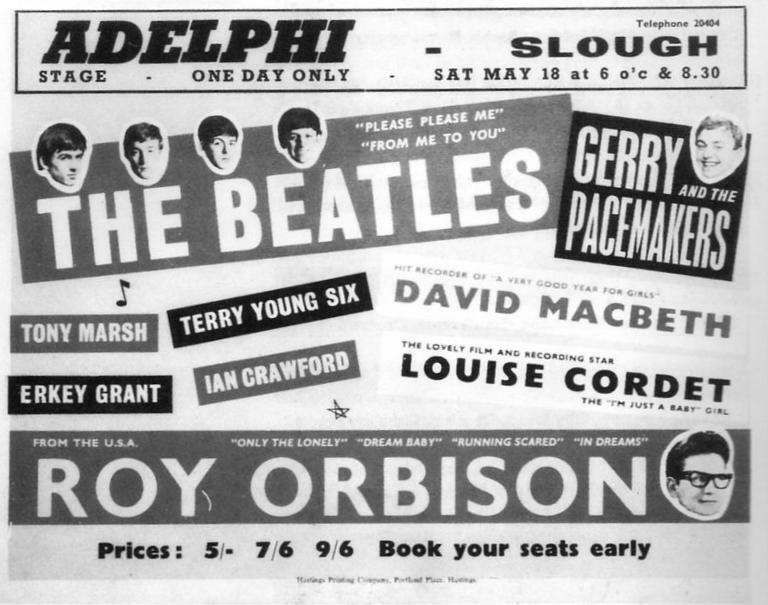 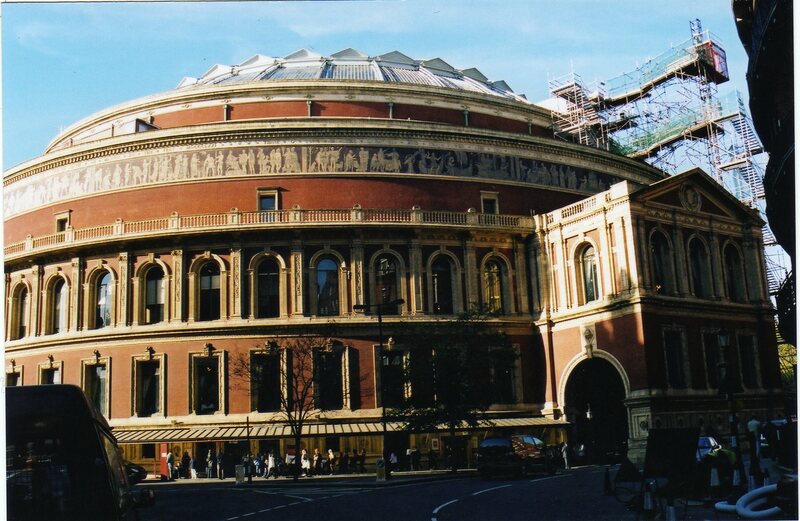 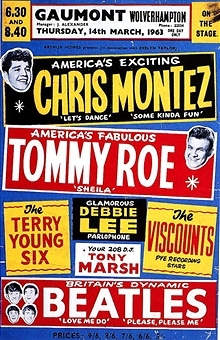 18th April saw them perform at the Royal Albert Hall, in 2 sections, the Swinging Sound 63, along with Del Shannon, Springfields, Rolf Harris, Shane Fenton, Kenny Lynch, Vernon Girls, Lance Percival & George Melly. 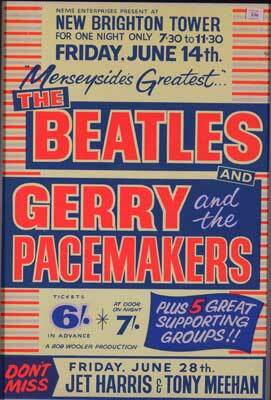 They returned 15th Sept.
20th April, 1 gig here at the Merseyview, Frodsham. 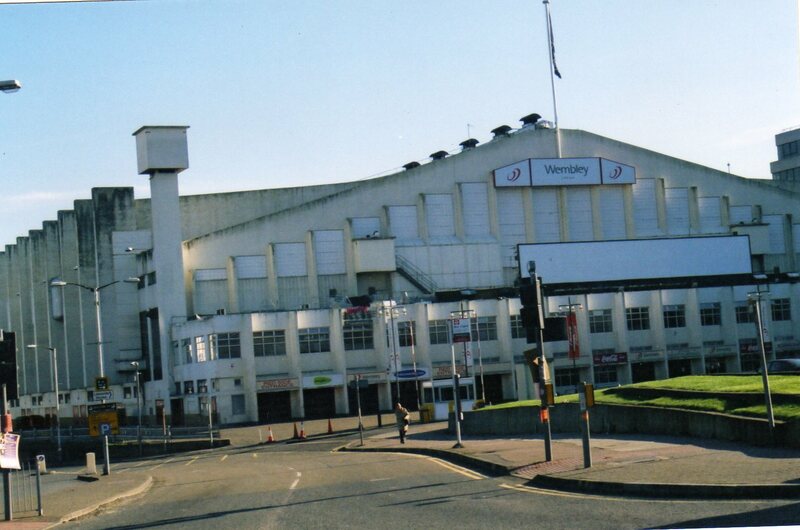 21st April, Empire Pool, Wembley. 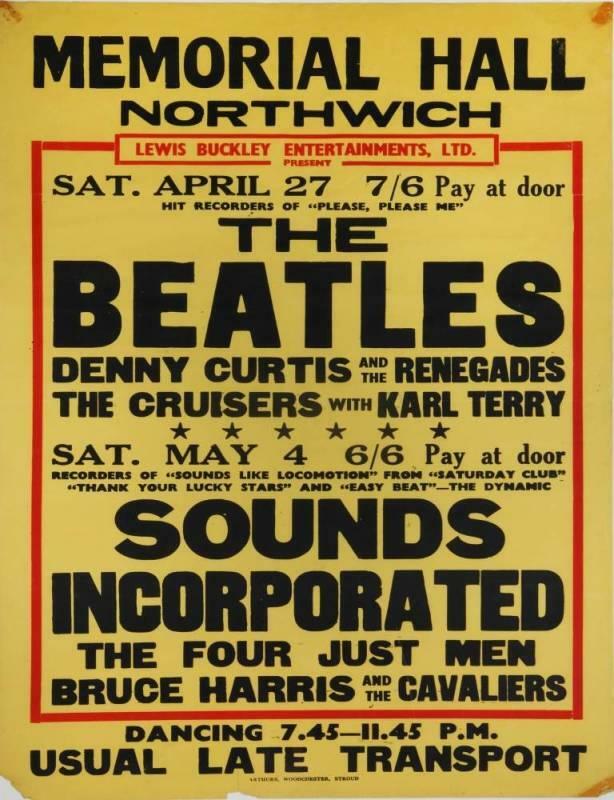 in the NME Awards Concert, headed by Cliff & The Shadows.They played 4 songs, and afterwards they went on to the Pigalle Club, Piccadilly, which has since moved and re opened after it's closure in the 70's. 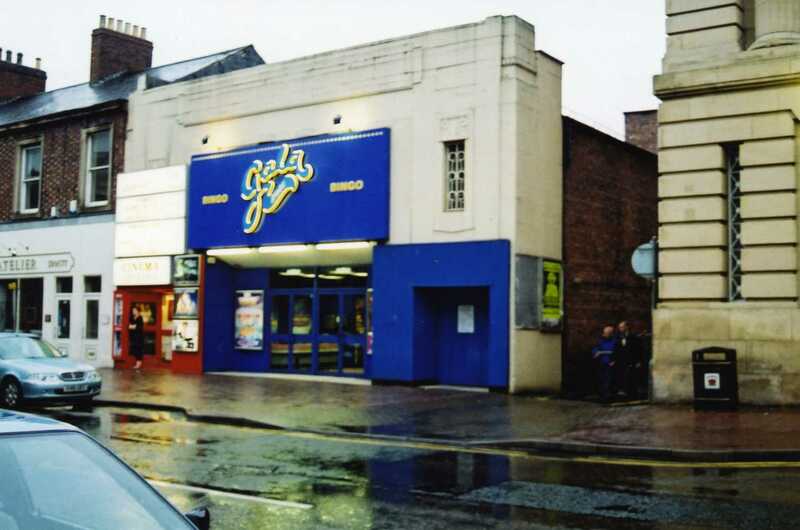 15th May the Royalty Theatre, Chester. 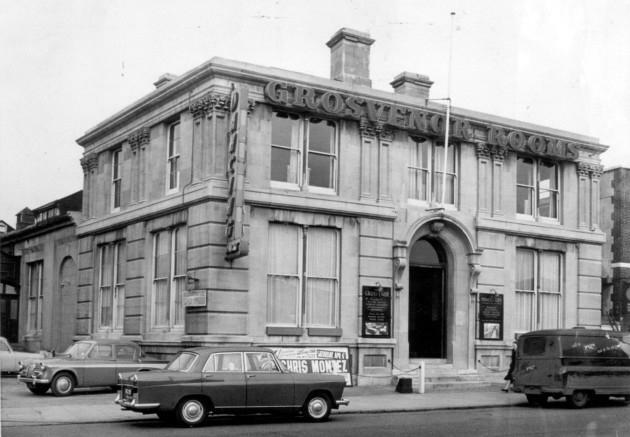 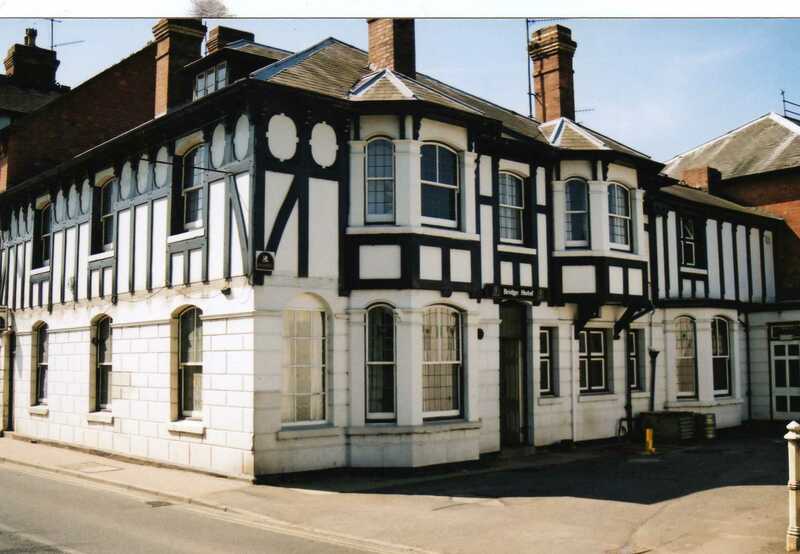 17th May the Grosvenor Rooms, Norwich, which is now completely different and called Grosvenor House. 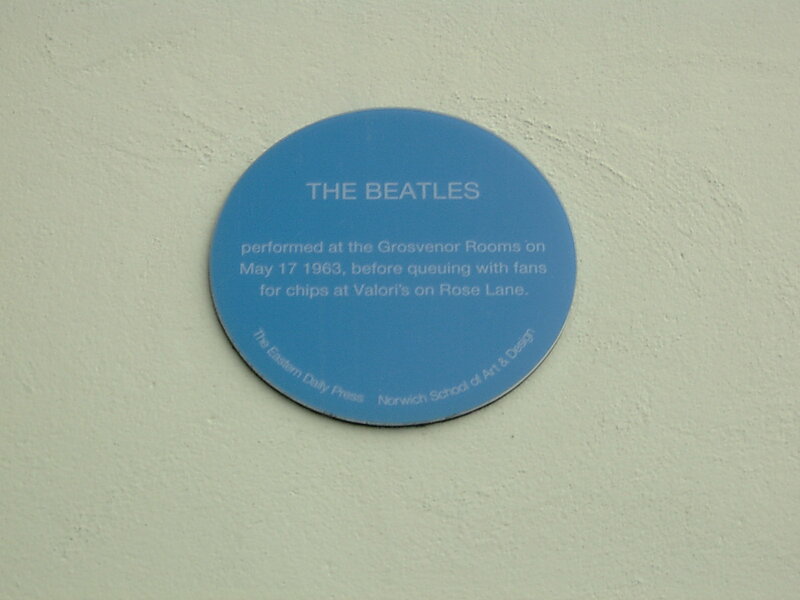 A plaque exists. 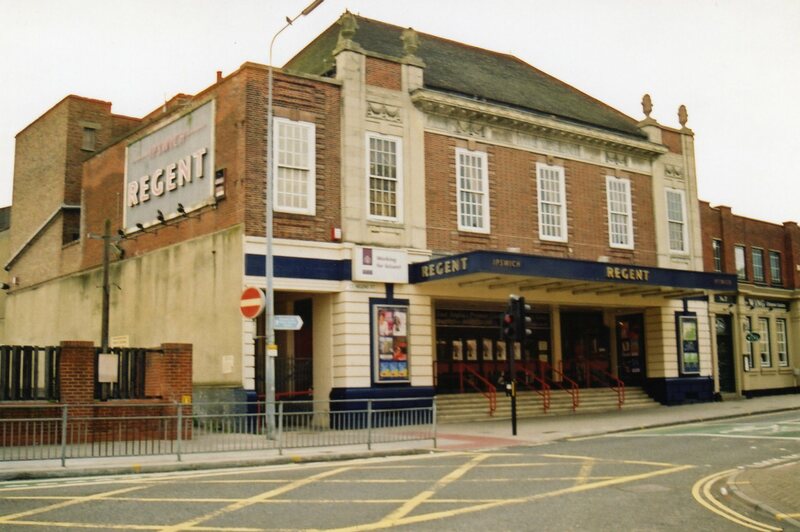 Adelphi Cinema, Slough, 18th May. 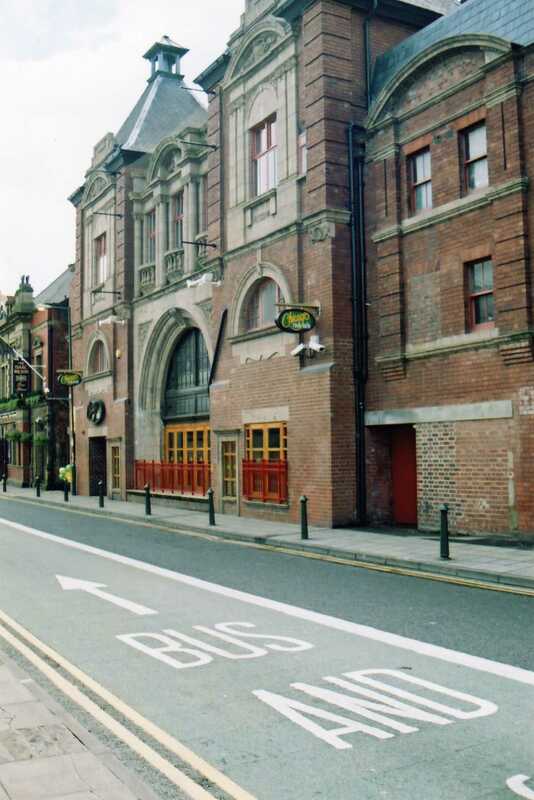 25th May, City Hall, Sheffield & 26th May back home to the Empire Theatre, Liverpool. 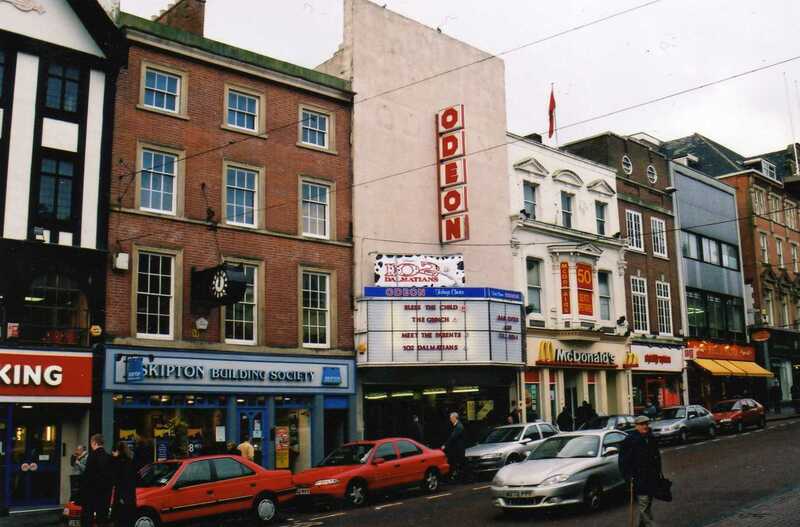 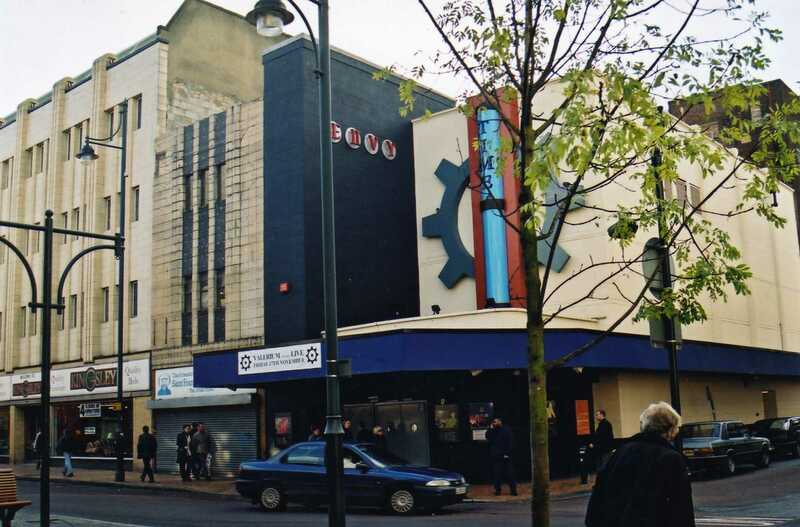 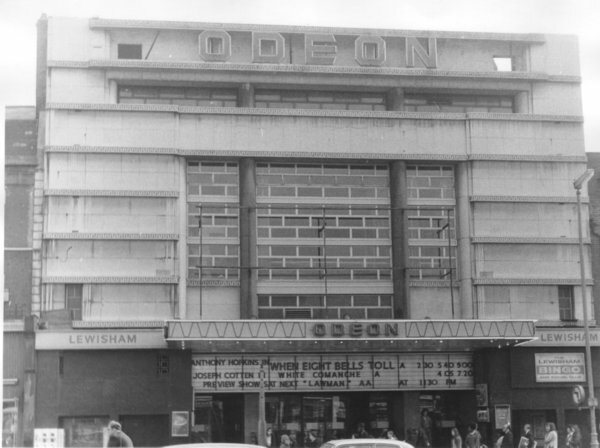 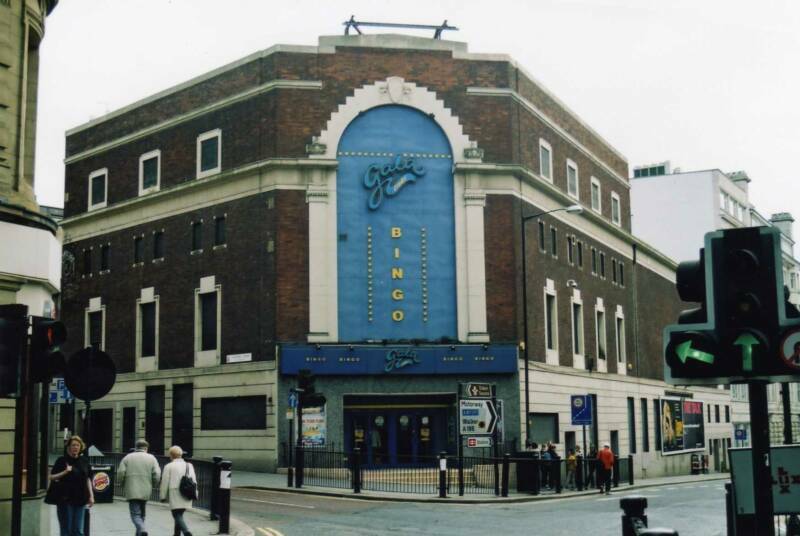 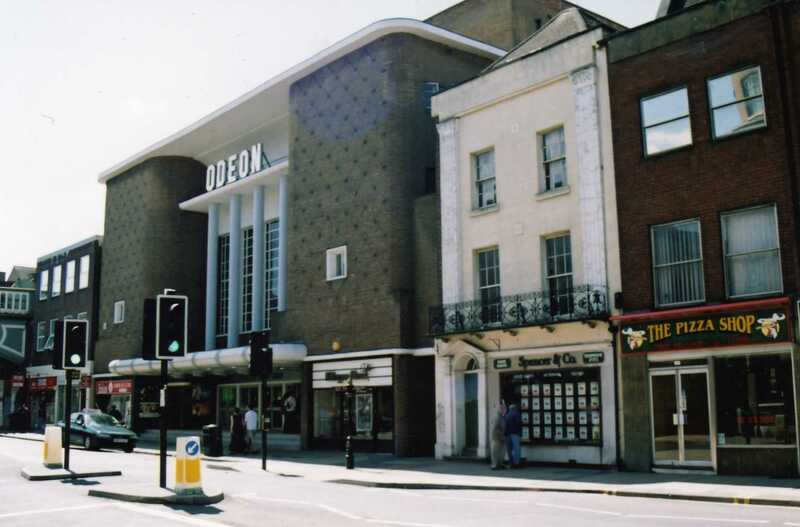 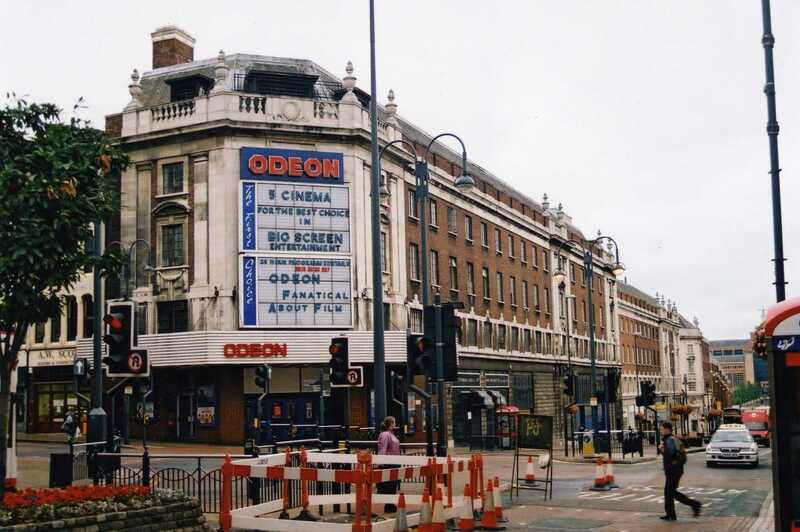 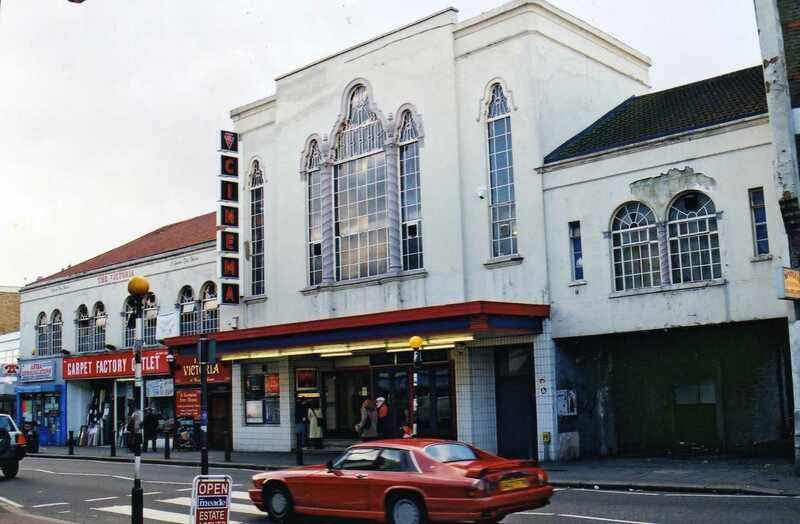 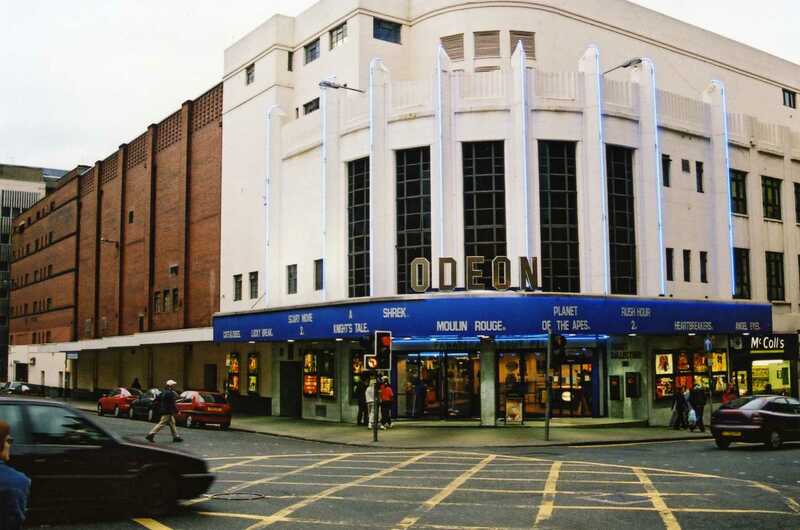 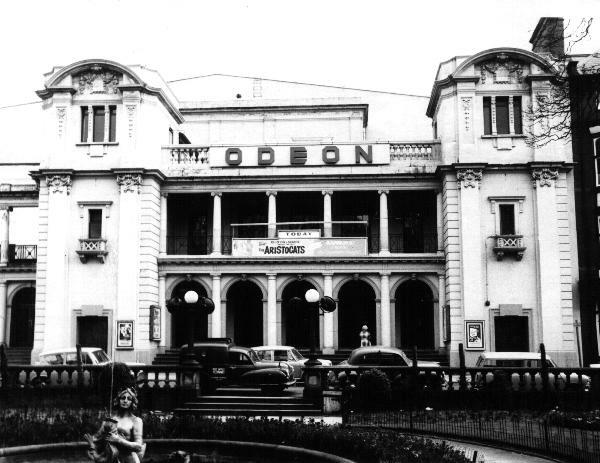 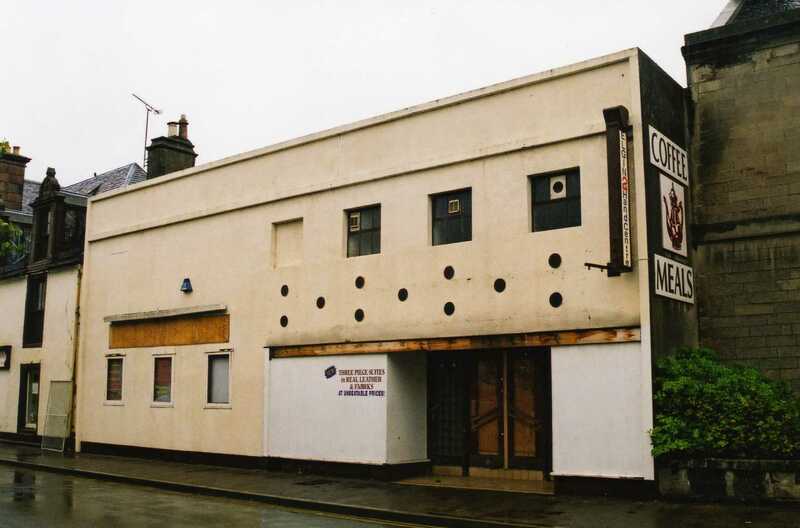 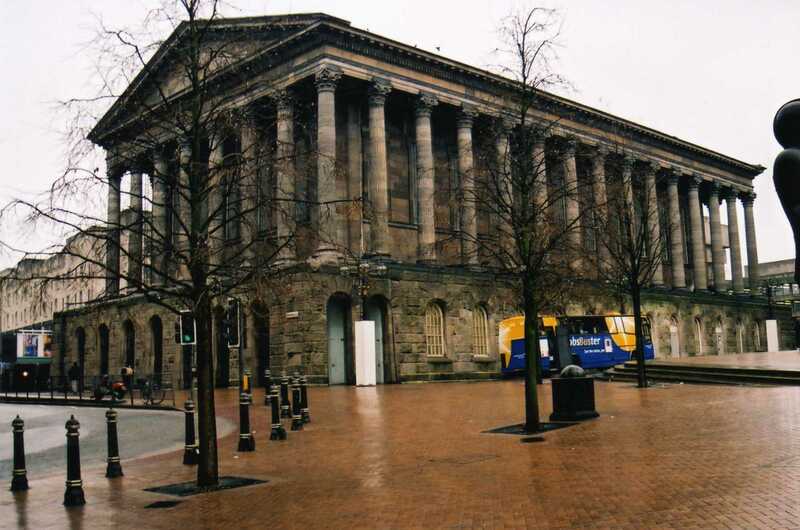 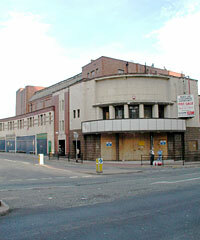 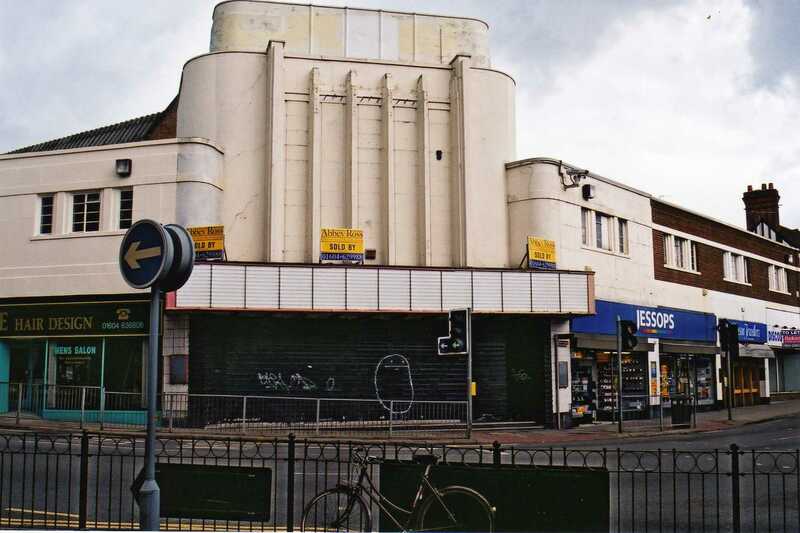 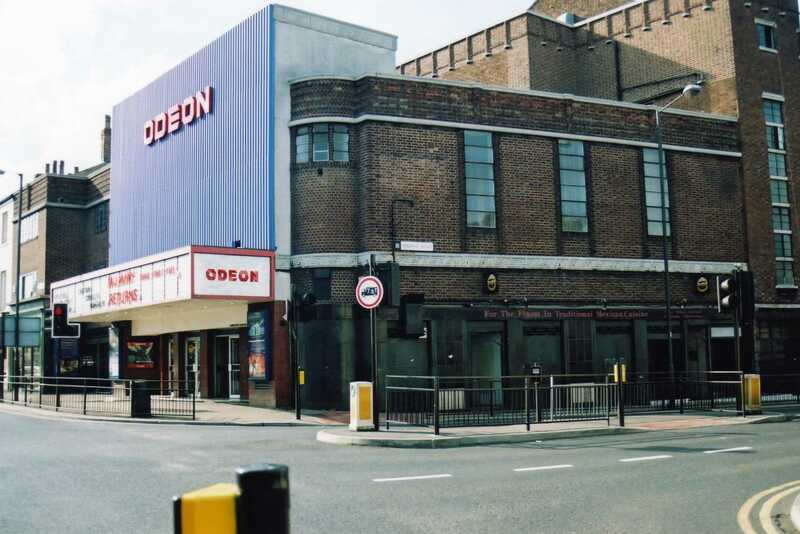 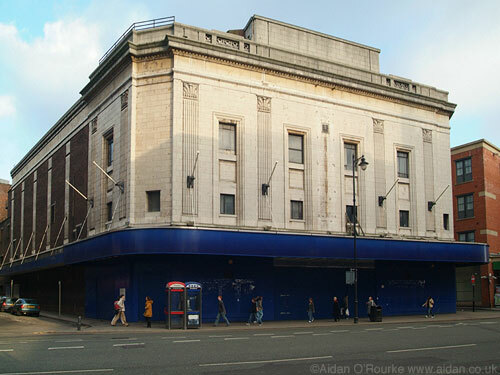 30th May, Mancester Odeon, closed for business in 2004.They only played here once. 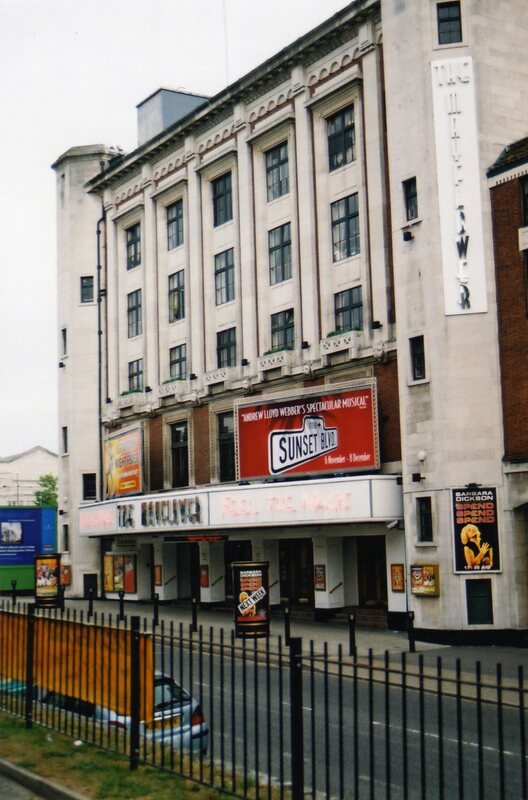 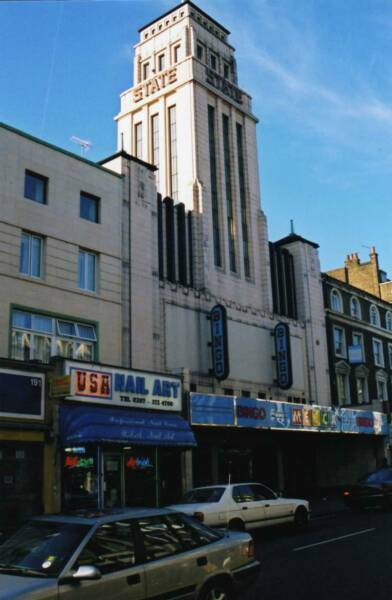 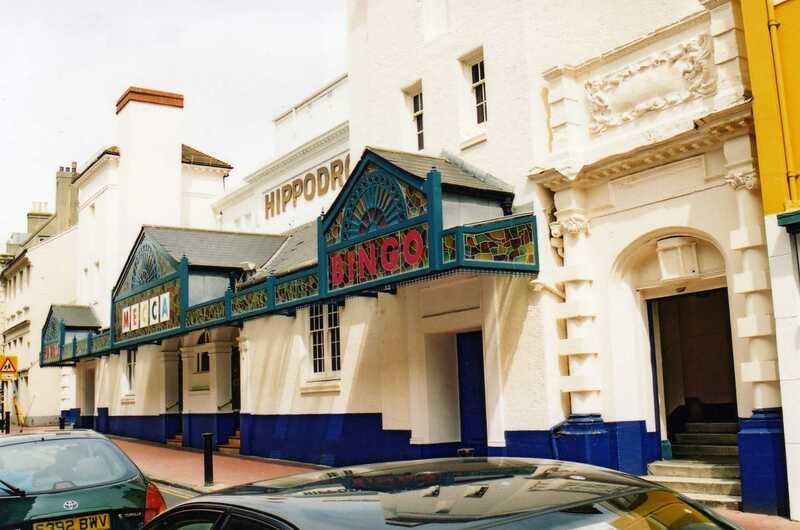 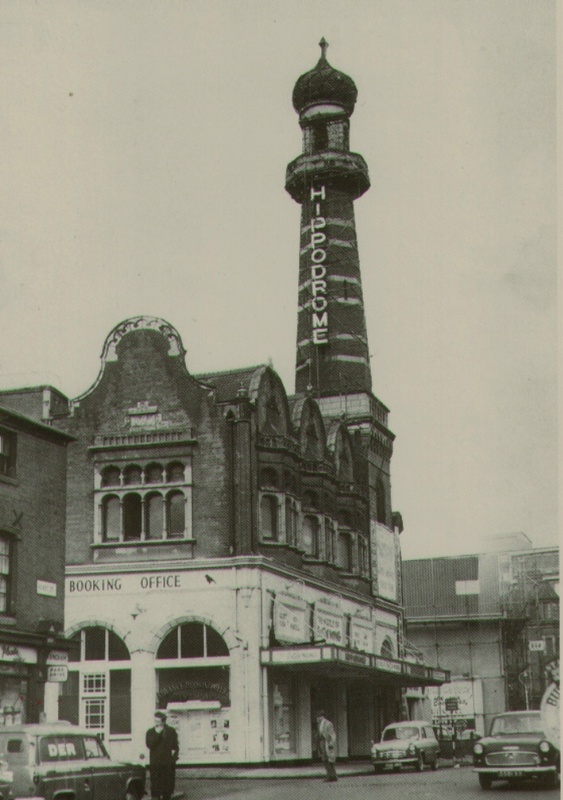 1st June, Tooting Granada, a truly impressive building inside. 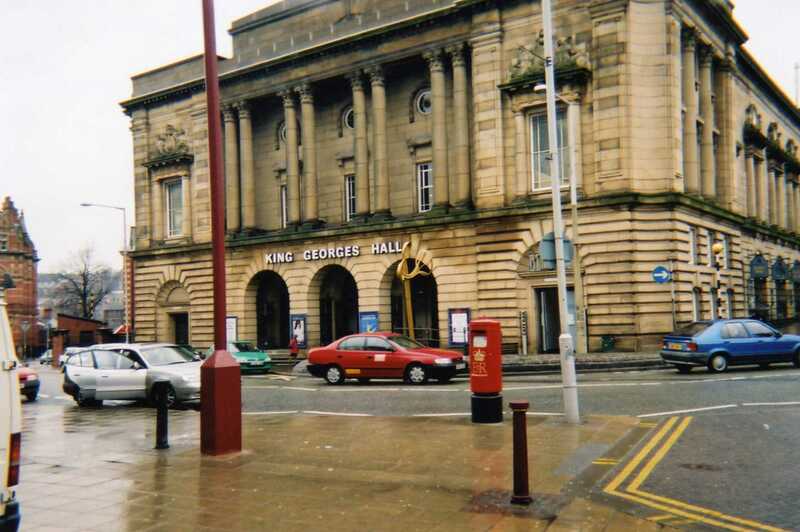 ...and the final night of the Roy Orbison tour, 9th June at King Georges Hall, Blackburn - Gabrielle was appearing when I went. 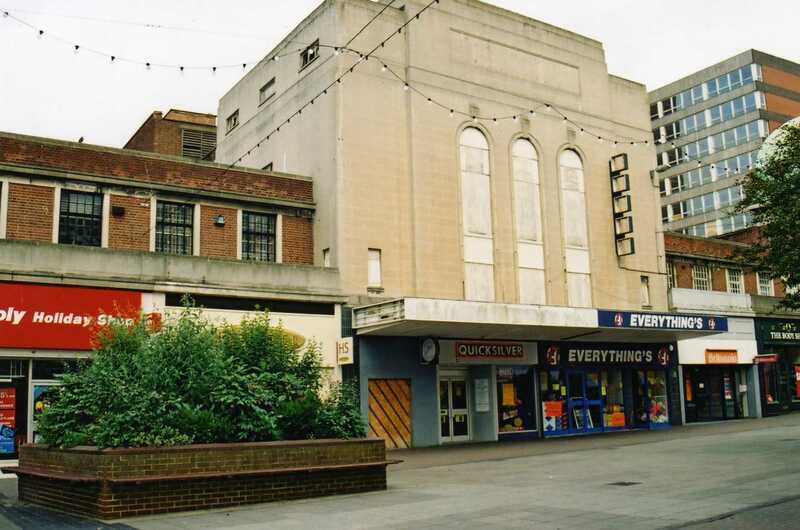 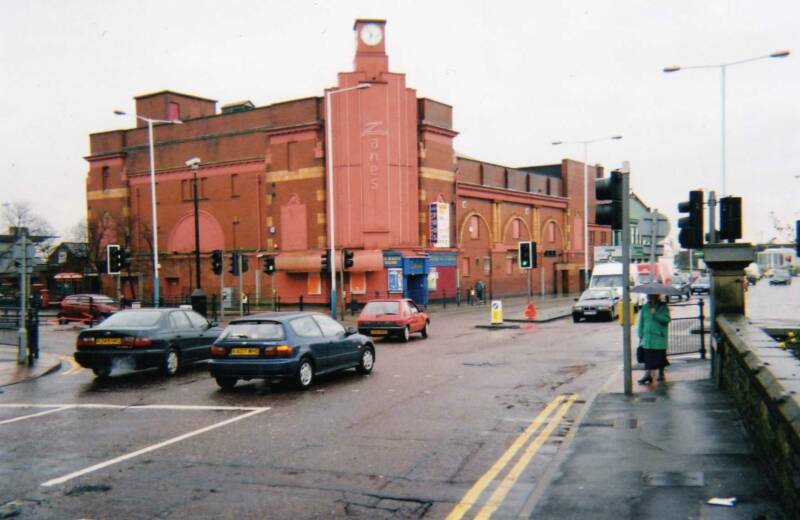 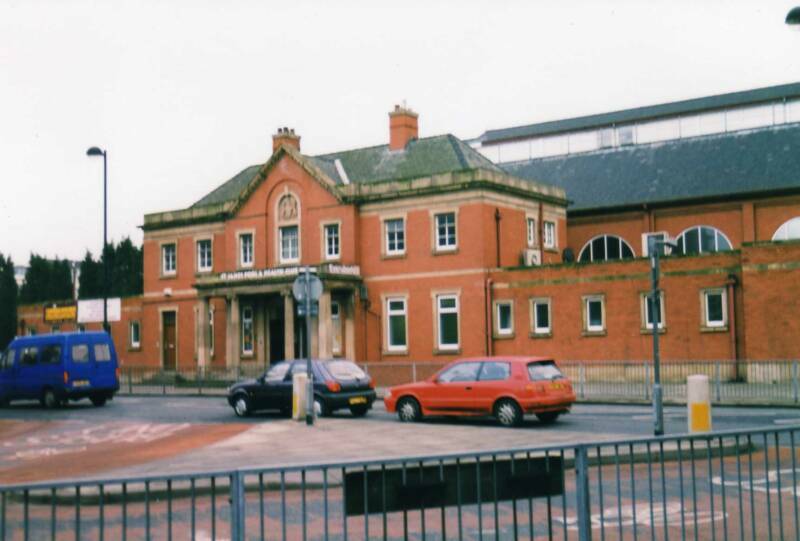 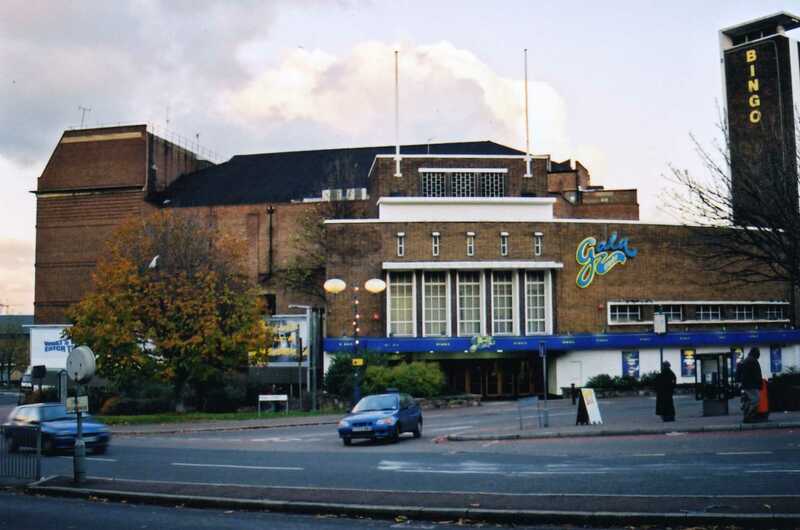 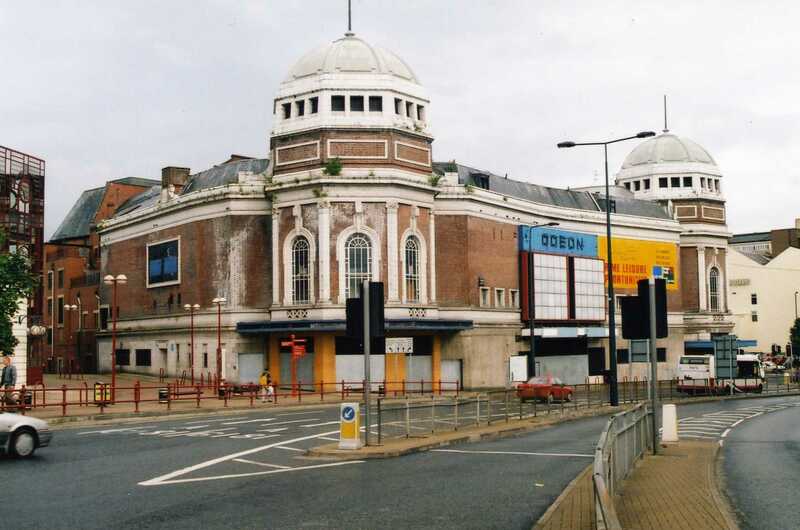 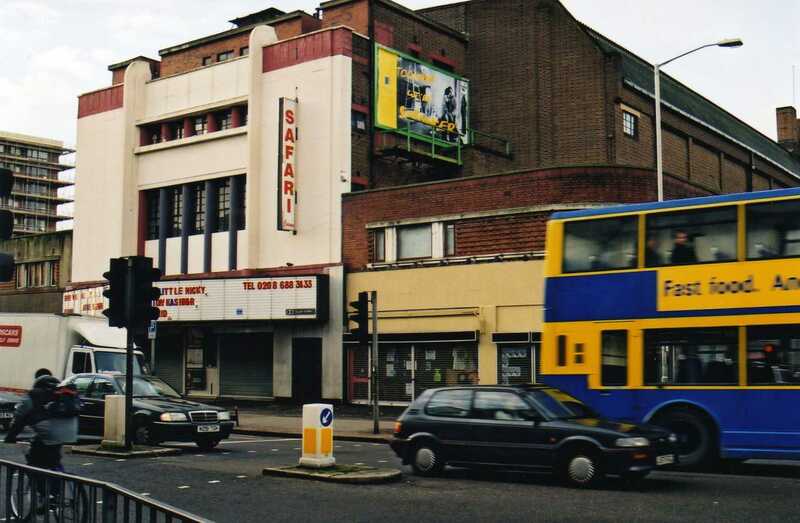 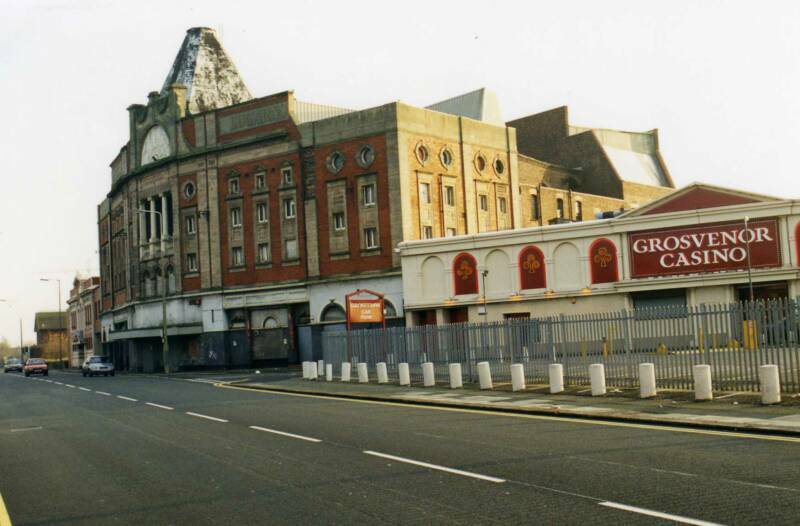 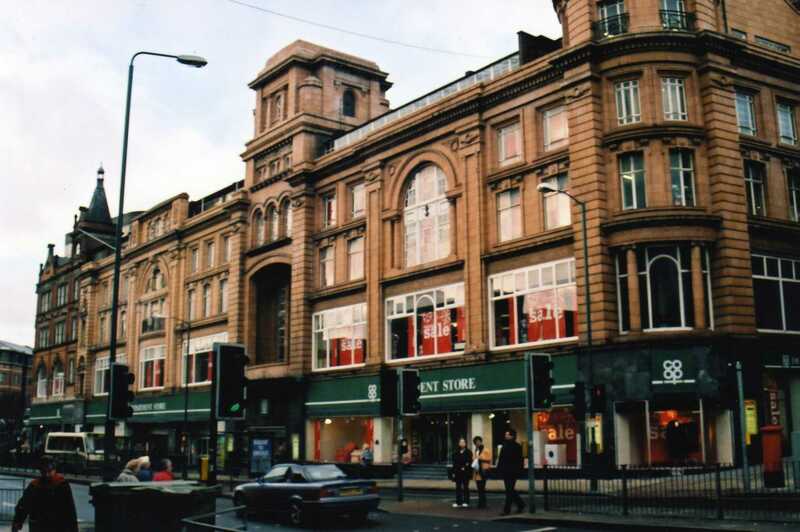 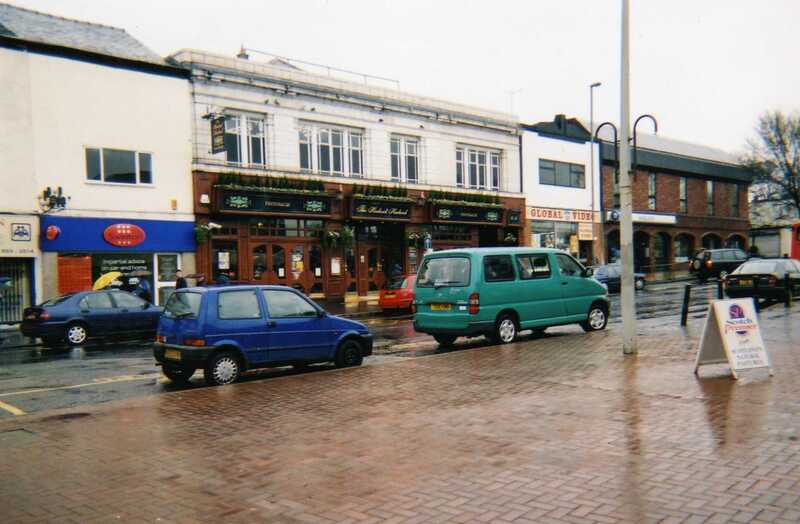 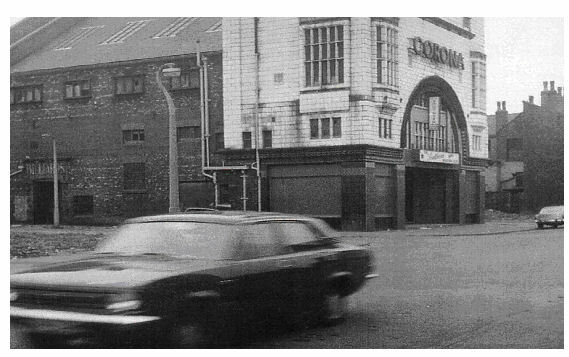 Palace Theatre, Stockport (L) & later Southern Sporting Club, Manchester (R), only 1 gig at each, with more details of the now gone S S Club, 13th June. 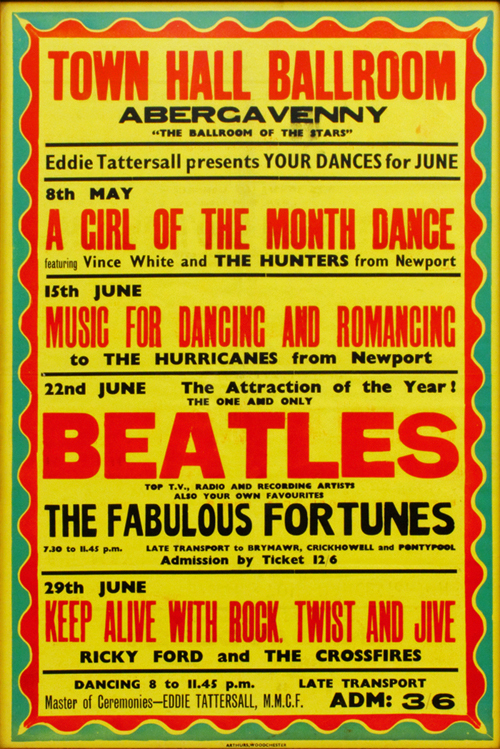 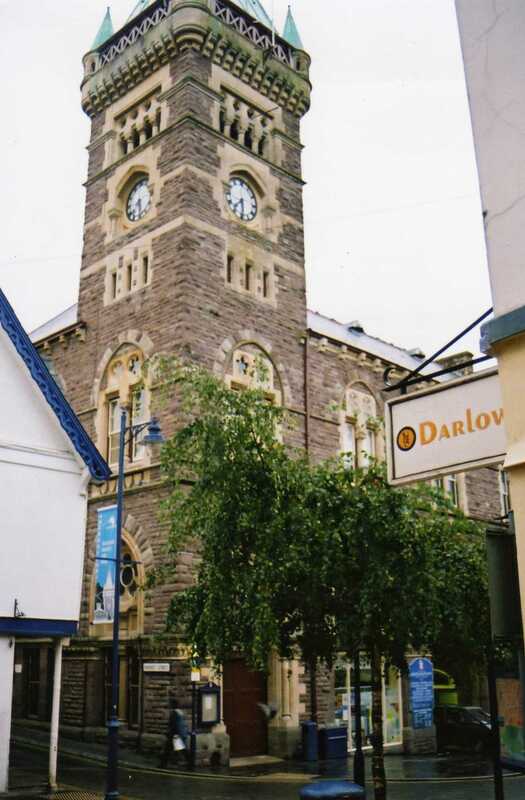 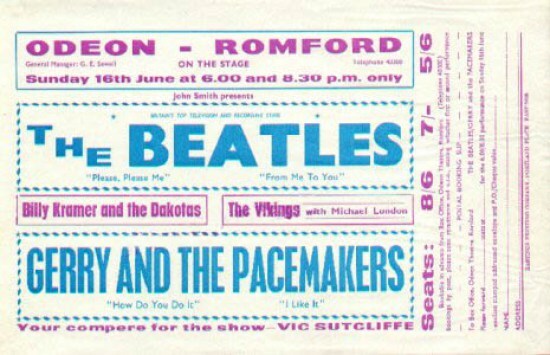 22nd June, Town Hall Ballroom, Abergavenny - Lennon flew in by helicopter after recording Juke Box Jury in London. 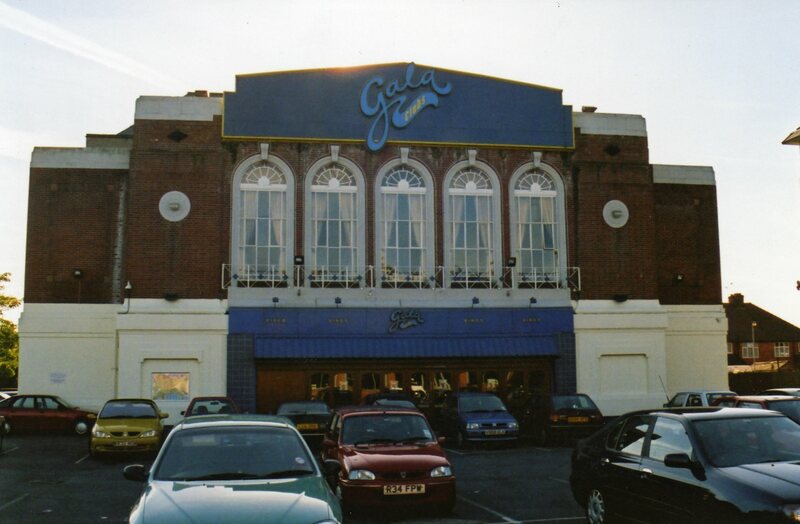 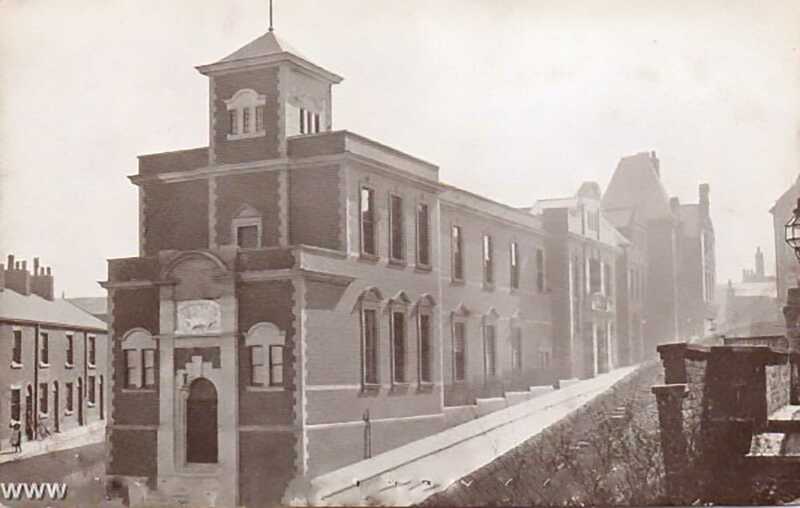 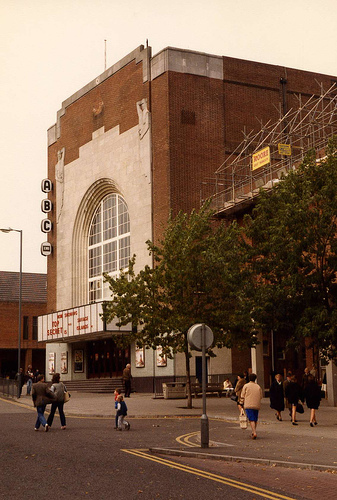 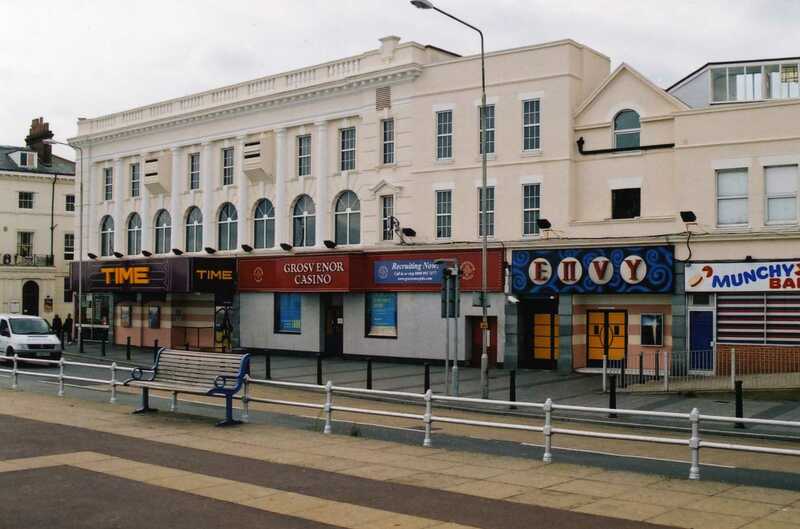 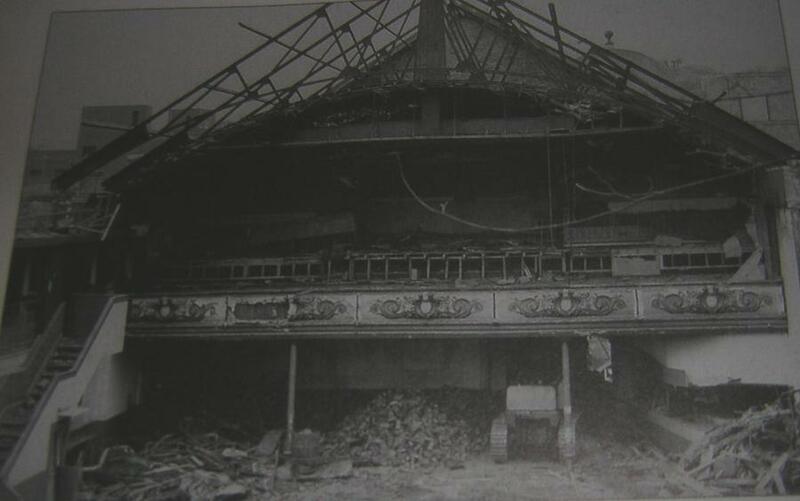 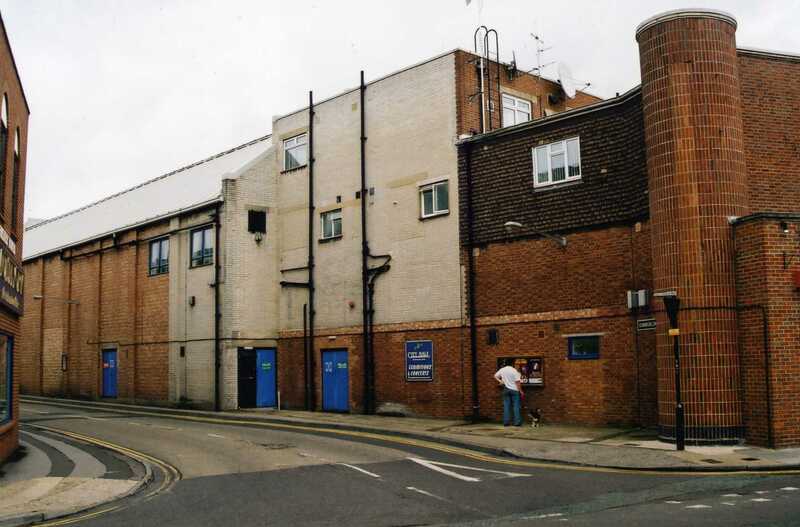 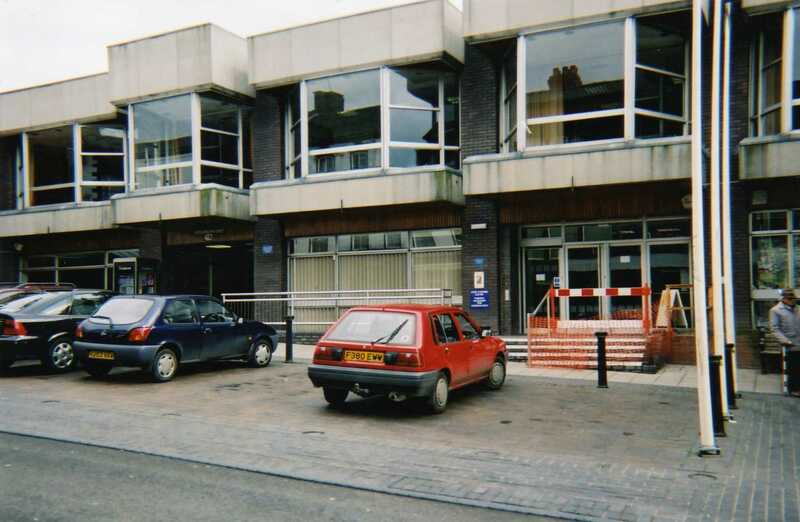 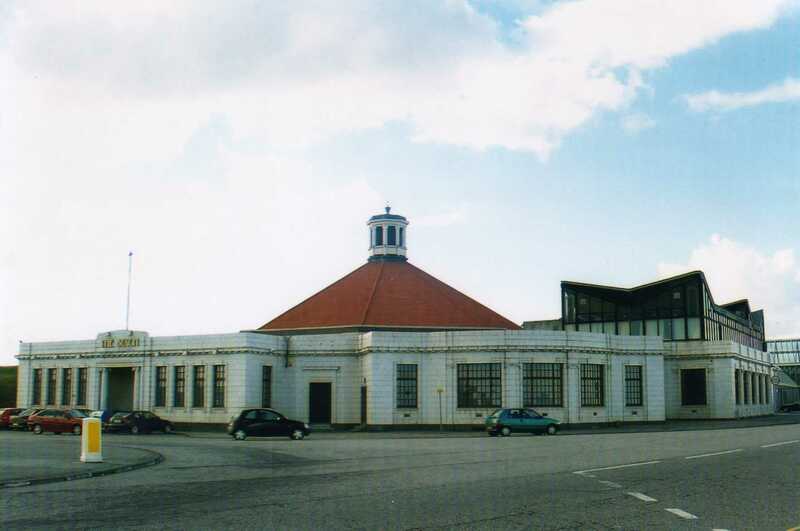 30th June ABC Great Yarmouth, as it was, demolished 1988 - and as it is now. 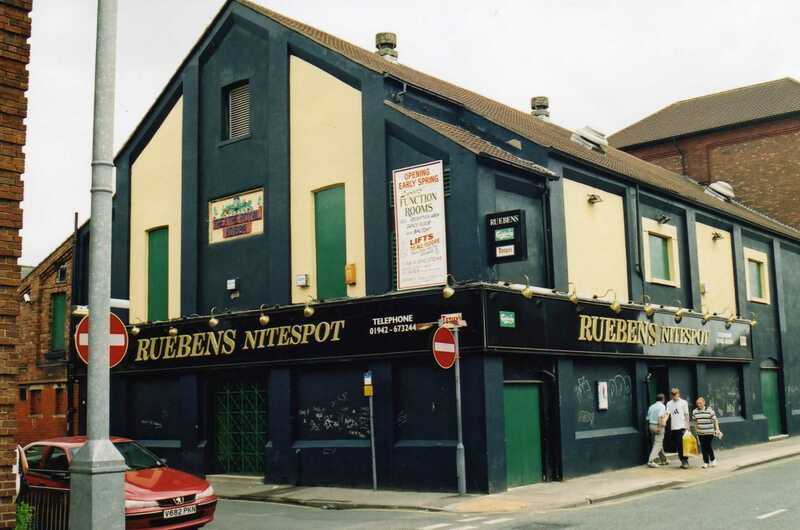 Pictured is 2 great guys, Bob & Ritchie, who we met in a pub (obviously) who told us where it was exactly. 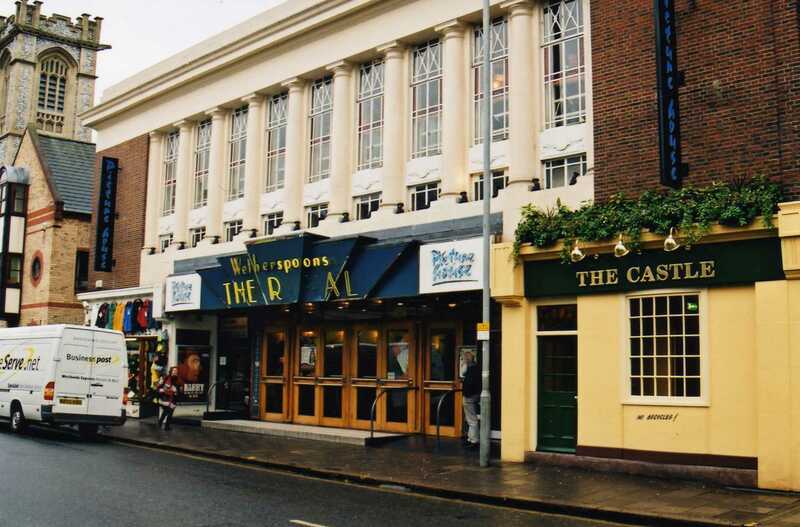 10th March saw them at the Hippodrome, Birmingham. 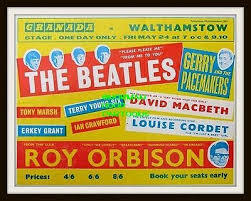 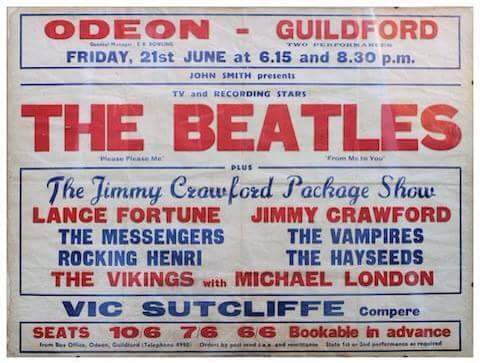 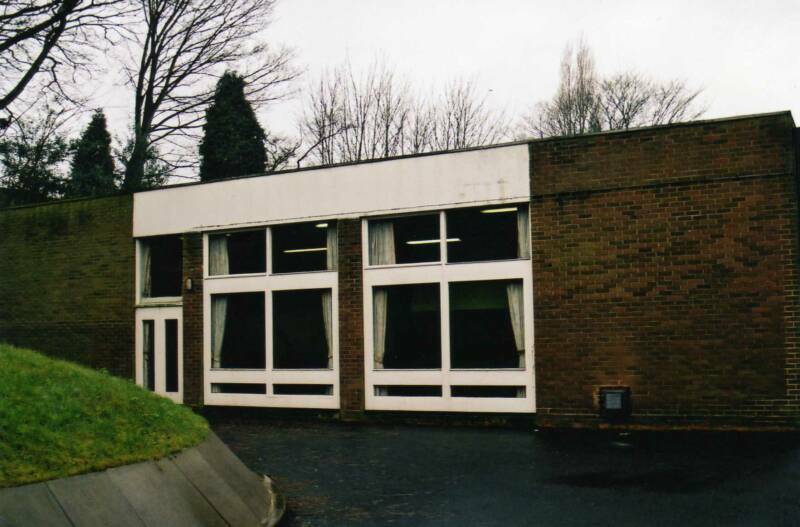 They played there 10th Nov 1963 as well. 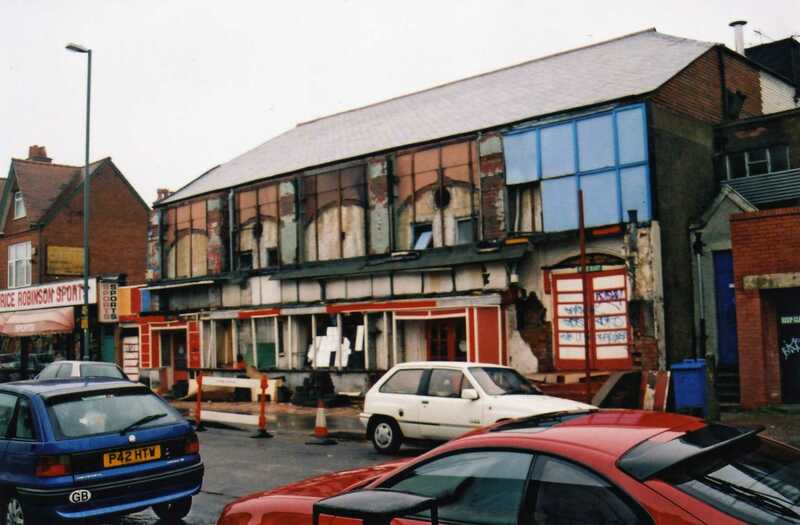 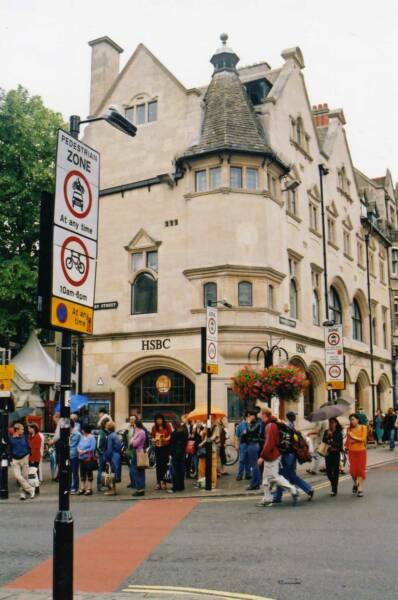 I have visited the area, but it was at the time undergoing a massive rebuild.